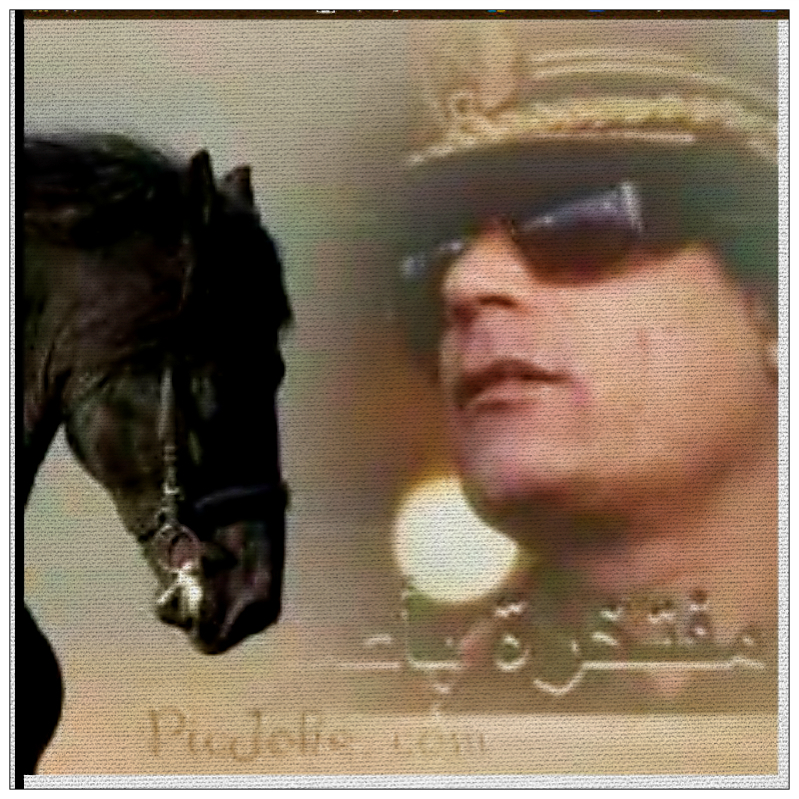 Light light of its principle … the Lord Atta … Aljain an estimated Adnah ..
Mu’ammar who is equality means .. .. Arif Nmotoa victims in Sabah ..
Lego above the horse powders .. answer all empty Melian ..
… Encouraged ‘blood howitzer’ .. popular kindergarten in Gharyan ..
How light Baht and mother .. and insulted him Nmotoa in the field ..
Boumnyar who betrayed what he has Safety .. They received blood from the Italians ..
Annsens what happened Shi ..
Net and how sheep’s milk ..
How Mu’ammar Crescent Day and Dah Dhawi p Islam ..
Allah is great Allah is great .. ** light Zafer Muzaffar. ﺍﻟﻔﺎﺗﺢ ﻓﺎﺗﺢ ﻣﻦ ﻣﺒﺪﺍﻩ … ﺍﻟﺮﺏ ﻋﻄﺎﻩ … ﺍﻟﺨﺎﻳﻦ ﻣﺎ ﻳﻘﺪﺭ ﻳﺪﻧﺎﻩ..
ﻣﻌﻤﺮ ﻫﻮ ﺍﻟﻠﻲ ﺳﺎﻭﺍﻩ .. ﻋﺎﺭﻑ ﻣﻌﻨﺎﻩ .. ﺿﺤﺎﻳﺎ ﻧﻤﻮﺗﻮﺍ ﻓﻲ ﺳﺒﺎﻩ ..
ﻳﺠﻮ ﻓﻮﻕ ﺍﻟﺨﻴﻞ ﻣﺴﺎﺣﻴﻖ .. ﻳﺮﺩﻭﺍ ﻛﻞ ﻓﺎﺭﻍ ﻣﻠﻴﺎﻥ..
… ﺷﺠﻌﻨﺎ ﻗﺬﺍﻑ ﺍﻟﺪﻡ .. ﺷﻬﻴﺮ ﺍﻟﺮﻭﺿﺔ ﻓﻲ ﻏﺮﻳﺎﻥ..
ﺍﻟﻔﺎﺗﺢ ﻛﻴﻒ ﺍﻟﺒﺎﺕ ﻭﺍﻻﻡ .. ﻭﻣﺎ ﻳﻬﺎﻥ ﻋﻠﻴﻪ ﻧﻤﻮﺗﻮﺍ ﻓﻲ ﺍﻟﻤﻴﺪﺍﻥ ..
ﺗﻠﻘﻮﺍ ﺩﻣﻪ ﻣﻦ ﺍﻟﻄﻠﻴﺎﻥ ..
ﻳﻨﺴﻨﺲ ﻣﺎ ﺣﺼﻞ ﺷﻲ .. ﺍﻟﺜﻮﺭﺓ ﻗﺎﻣﻮﻫﺎ ﺍﻟﺸﺠﻌﺎﻥ ..
ﻭﺻﺎﻓﻲ ﻛﻴﻒ ﺣﻠﻴﺐ ﺍﻟﻀﺎﻥ ..
ﻣﻌﻤﺮ ﻛﻴﻒ ﻫﻼﻝ ﺍﻟﻌﻴﺪ ﻭﺿﻴﻪ ﺿﺎﻭﻱ ﻉ ﺍﻻﺳﻼﻡ .. The world is witnessing a full lunar eclipse tonight, or so-called phenomenon of “Moon Giant”, where the moon seems larger and brighter than usual, and clearly seen in the Americas, Europe, Africa and the Atlantic and Indian Oceans. Rare Super ‘Blood Moon‘ Lunar Eclipse Coming, Last Until 2033. There is a total eclipse of the moon on the night of 27-28 September 2015. It happens to be the closest supermoon of 2015. It’s the Northern Hemisphere’s Harvest Moon, or full moon nearest the September equinox. It’s the Southern Hemisphere’s first full moon of spring. 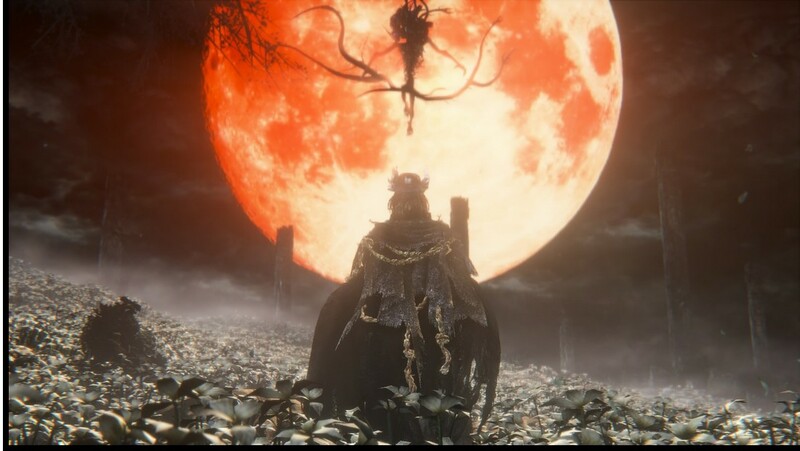 This September full moon is also called a Blood Moon, because it presents the fourth and final eclipse of a lunar tetrad: four straight total eclipses of the moon, spaced at six lunar months (full moons) apart. Phew! 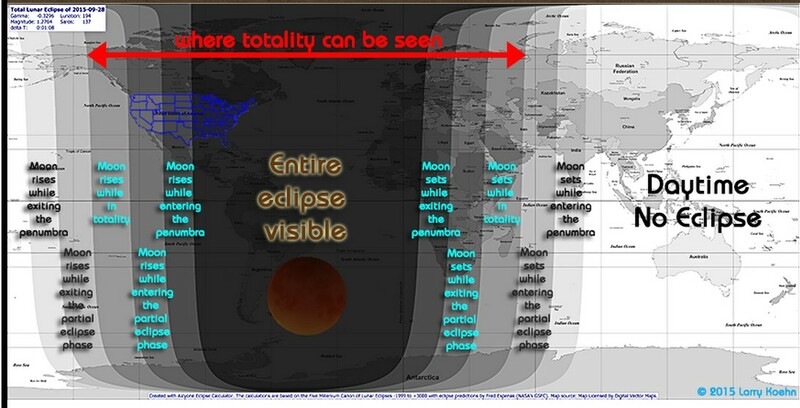 The total lunar eclipse is visible from the most of North America and all of South America after sunsetSeptember 27. 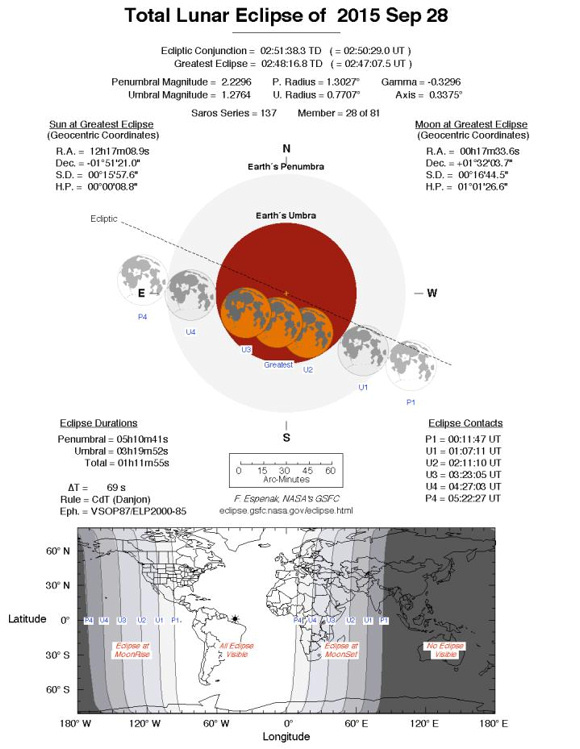 From eastern South America and Greenland, the greatest eclipse happens around midnight September 27-28. In Europe, Africa and the Middle East, the total eclipse takes place in the wee hours of the morning, after midnight and before sunrise September 28. A partial lunar eclipse can be seen after sunset September 27 from western Alaska, or before sunrise September 28 in far-western Asia. 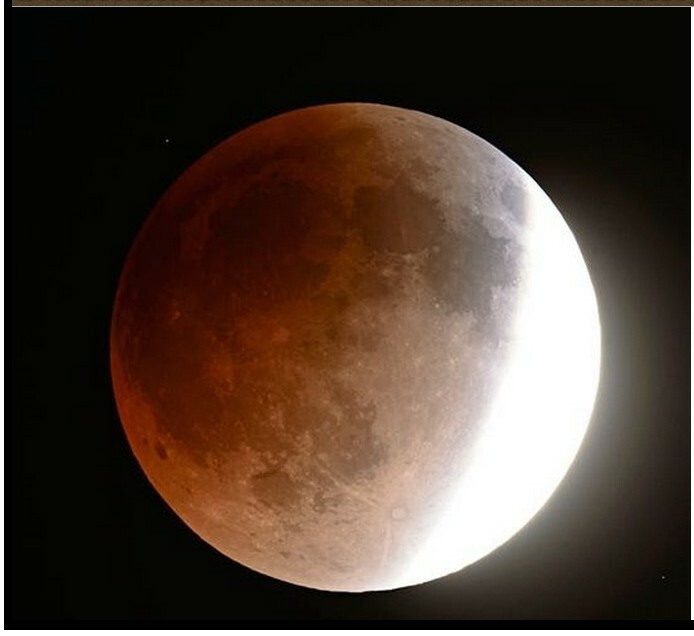 Photo top of post shows a partial phase of the April 14-15, 2014 total lunar eclipse byFred Espenak. Follow the links below to learn more about the 2015 Harvest Moon and the September 27-28 total lunar eclipse. ‘Next Antdharo’ (says “ZERO HOUR” on FB). 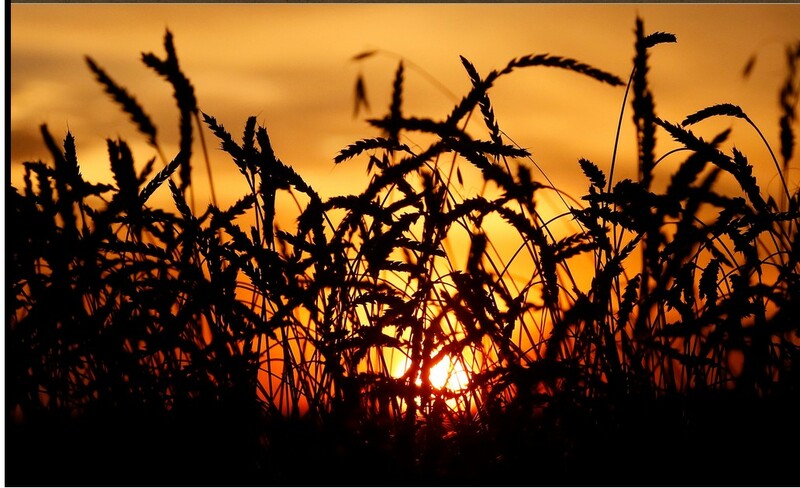 NO MORE FLOUR for BREADS in LIBYA ! Prices fund budget. 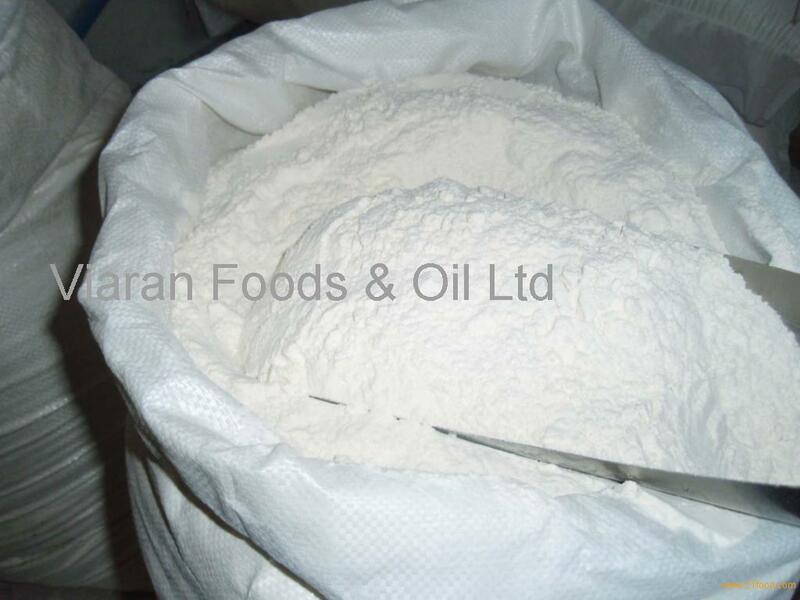 Flour stores become empty. Moved to the mercy of Allah, Salmh Mamed al-Surroi. 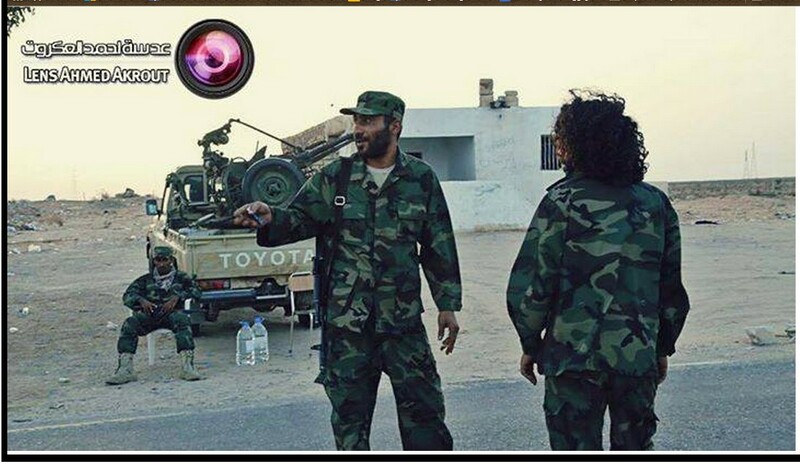 Hacad Libyan Army near Fnaitees southwest of Tripoli Base. The goal apparently crossing the head of Igdir. Soon Ras Igdir will be ours. 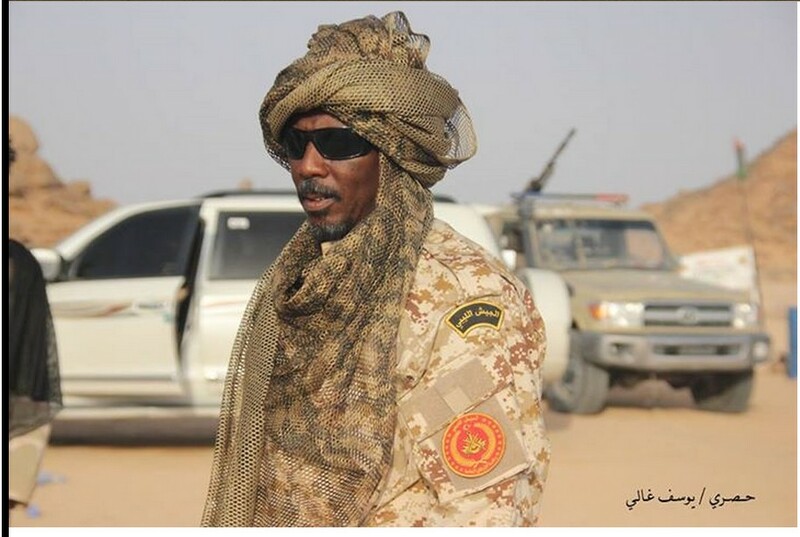 The release of ‘Colonel Mbrok carp Zhmul’ was immediately kidnapped by a militia, where he spent four years in prison plateau, headed by the terrorist Khalid al-Sharif. 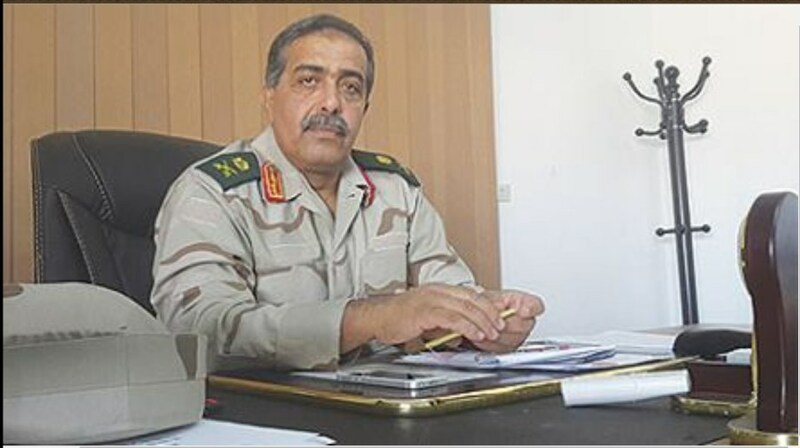 The kidnapping of Colonel Mbrok Zhmul near the railway bridge after his release by the militias Roma Libya, a repressor for a period of four years jail at the Plateau. Arjowoa discernible caution and steep. Mobilize and heading for the capital of heavy and medium weapons. Brotherhood’s ‘Room Armor-Shield operations’ in Tripoli have made an Urgent move: declaring ‘a state of emergency for all Ktaib rebels’. And Mainsuh needed in day Erdoh. Liberal leader Lee Boumnyar Giap: Revenge of the colonizer and treacherous and Ladek. Ainade free to Allah is the greatest to heat Greetings. Violent clashes between militias now Buabadh and militias tribe children Saqr. al-Bive shut down by Baatjah of Tajourah; and archery is dense in its place. 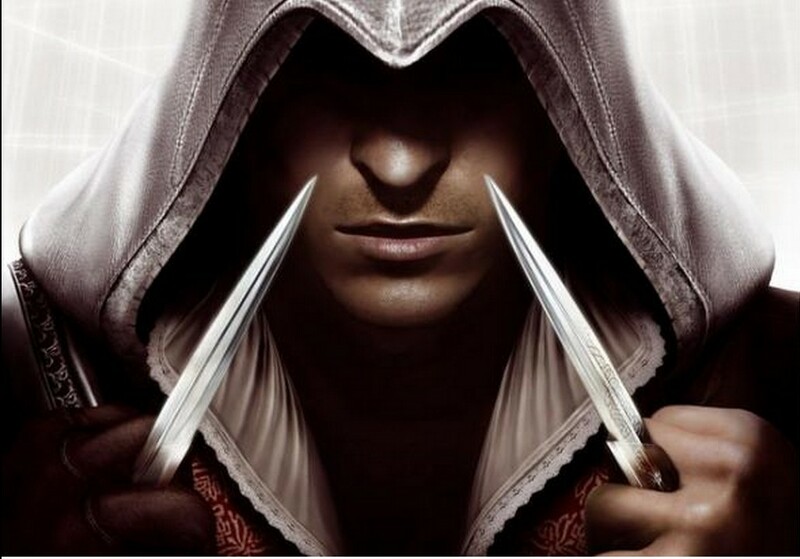 al-Bive shut HaithamTagouris through and hear the voice of lead strong and thick. Thwart the smuggling process of prisoners al-Ruyemi prison in Tripoli. 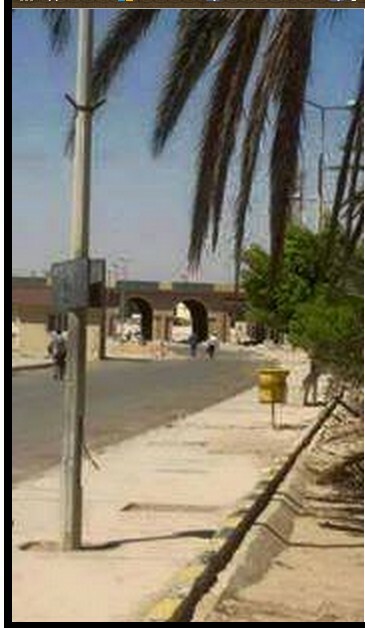 Gates militias belonging to the ‘Roma Libya’ and al-Kremiah RATS in Sawani. Contact Pia just one of the five are free Wenta Gardan Jardan Jeeben Misurata in gate 17 Chrikm Jaivin. “You have to launch in five Iajmap. 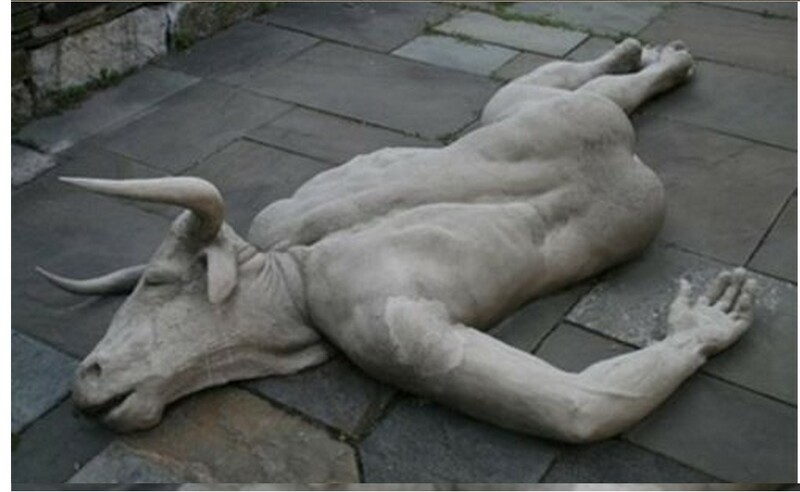 Please all of the five Liberal caution gate where just Misurati. Clashes in the far corner between rival militias. –Drug gang leader, “Ibrahim Alhanih” people out of their homes by the beauty of street, Omar al-Mukhtar Street, began to attack the family al-Khaddroa-drug war. One of Jardan headed, Cardman Abu Obeida, who stole a car today from Hellbe Decharh, and currently Hajman it. Reason for the clashes in the corner is the children of militia zero “al-Chbanqat” stole a car Poh from the armored militia Abu Obeida angular of the Brotherhood, which controls the city engorged “corner”, and thus the total situation inside the city. And defender using as ‘human-shields’106 children between the militias and militias Aelchenbqat Saqr Abu Obeida angular. Arrested Inventory ‘Jeri Asman’, one of the leading militia called abstract ‘Abuabadh al-Zawa’ in an area 27. 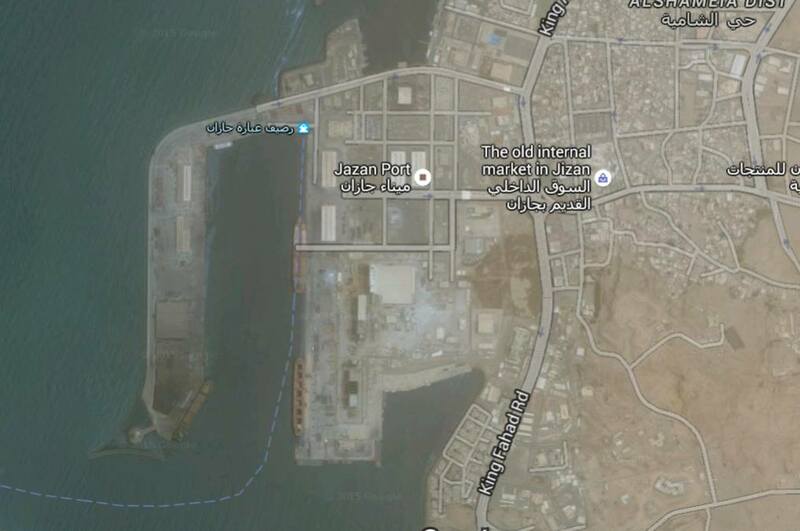 Control and Rishvana support troops of the Army of the tribes on the headquarters of the Academy of Maritime Studies and the headquarters of the Marine camp in what is known as secondary or “Sidi Bilal”, which is located west of the capital Tripoli, 17 kilometers Pei Bridge in the 17th. (el-MAHDI HARATINE) ‘Akkla Gianni Gneoh criminal militia’ raided a house in the neighborhood of ‘Omdurman Abu Salim’, terrorizing ‘the center for children and women’ in the house and the street as a result of heavy weapons firing shots in the air. They falsely claim that the home is plumb full of green flags and pictures of our leader. The Jardan one of the terrorist militias of (el-MAHDI HARATINE) Akkla Gianni Gneoh, first archery on the two young men in the Abu Salim area, in front of replacing Gdaiah, and Ordahm two dead. 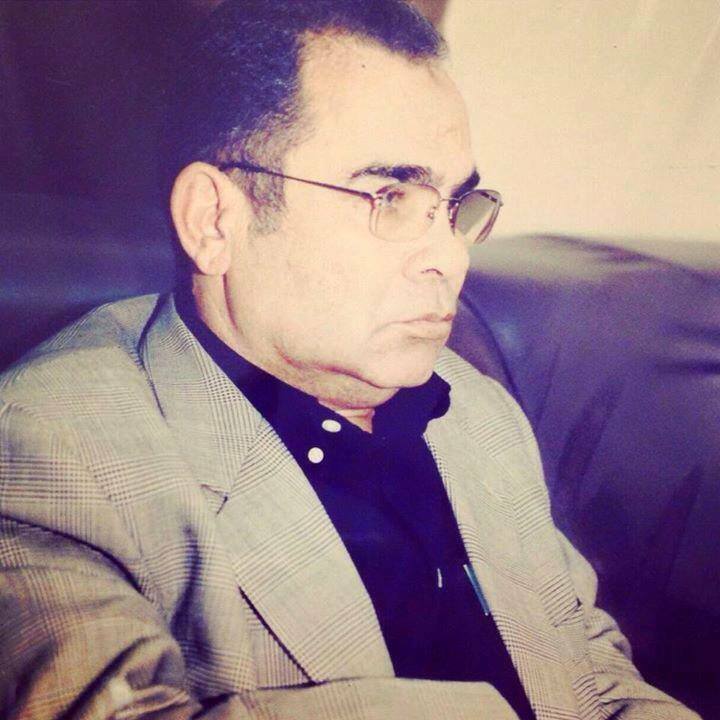 The kidnapping of the Deputy Minister of Electricity from the front gate of the University of Tripoli playgrounds. 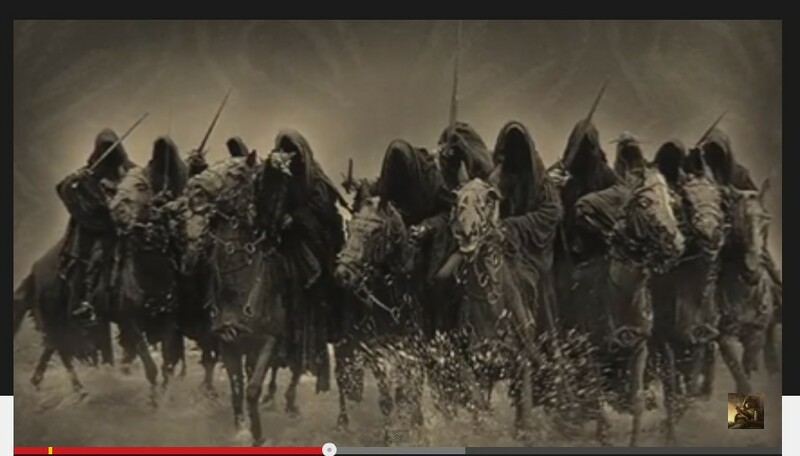 as ‘a mighty huge heroic Orthal’ comes down from Zintan and is now moving with al-Azizia ! The displacement of 170 families from Sirte to Bani Walid, after deportment by the controls of the terrorist organization ‘Daash’ Al-Yalmedinh. The space on the new frequency 10 872 – vertical –27,500 – 3/4 satellite Nilesat as of 01 October 2015.
of communications in Southern Region. Kidnapping captive need Noria Seabah today from inside the prison al-Madjer and no information is yet available. which led to its shut down. 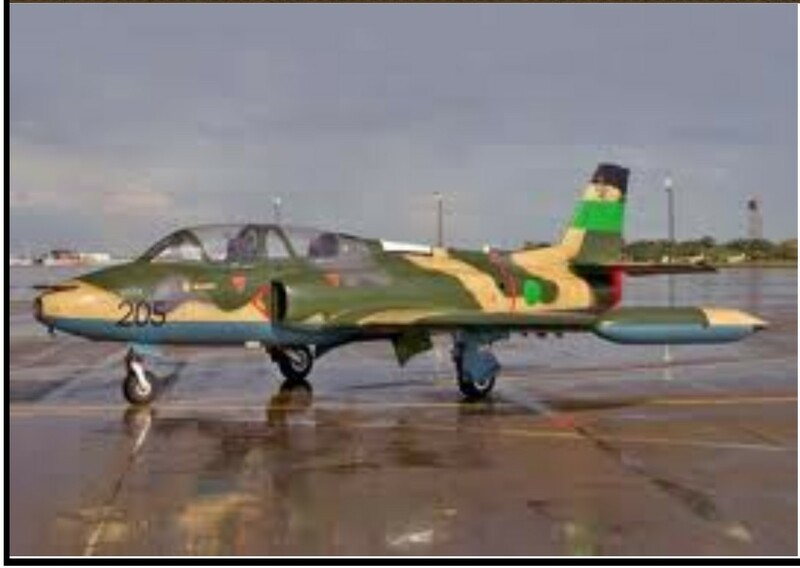 Transfer ‘Sid Qmav Dam’ by special plane from ‘Abraq airport’ to ‘airport Misurata’, after his release and acquittal, which is attributed to him by al-Melcaat. The release of captured Younis Aboustaah. Praise be to Allah for his safety; an obstacle for the rest of family, O Lord ! The arrest of an Egyptian worker Bohadda Almkhbaz, in area ‘Aan Marh’, after arriving just one week (from the State of Egypt). He worked for a range of 3 days in the ‘Mkhbaz Martuba’ area; and when he arrived for the required eye passing-exam, he was arrested, as good intelligence reports proved that he is a dangerous man in the organization of the State, ‘Daash’. The homes and the closure of all institutions ! 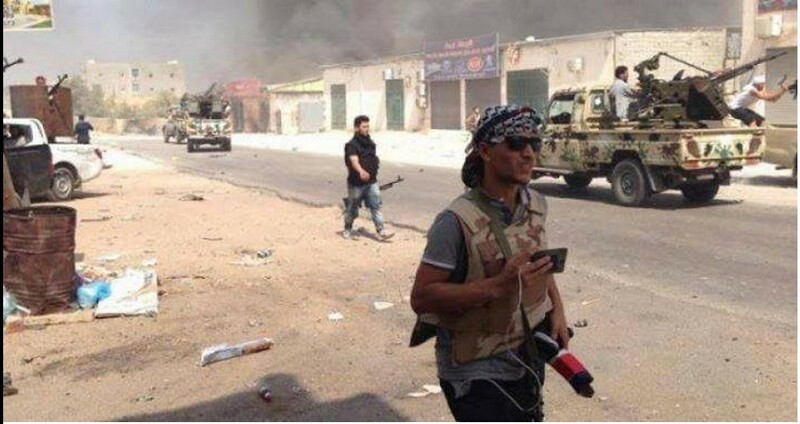 Qubeibeh terrorists, in the ‘area 20 km west of the city of Sirte’ and the elements of the organization arrest some citizens and took them to their security headquarters. 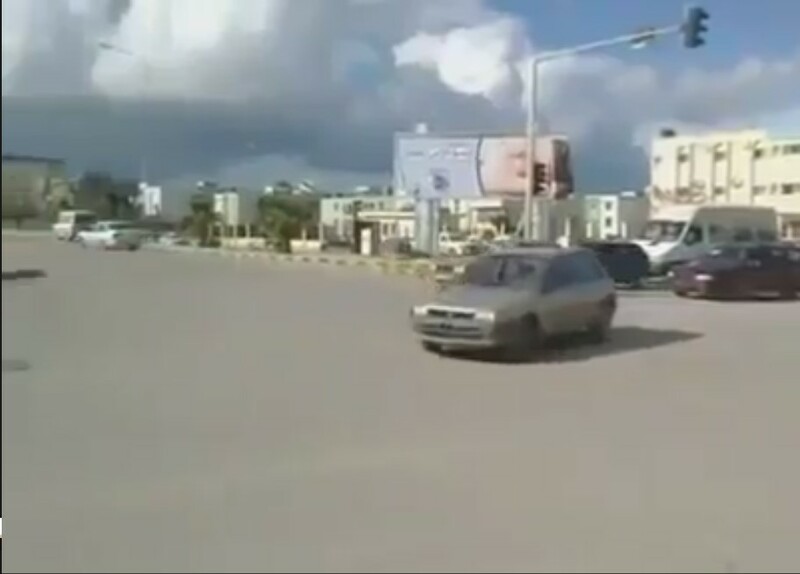 News and reports from the city of Sirte are stating concerning the kidnapping by the ‘Daash’ organization, of girls; and then forcibly marrying them off to members of the ‘DAASH’ organization in the city. 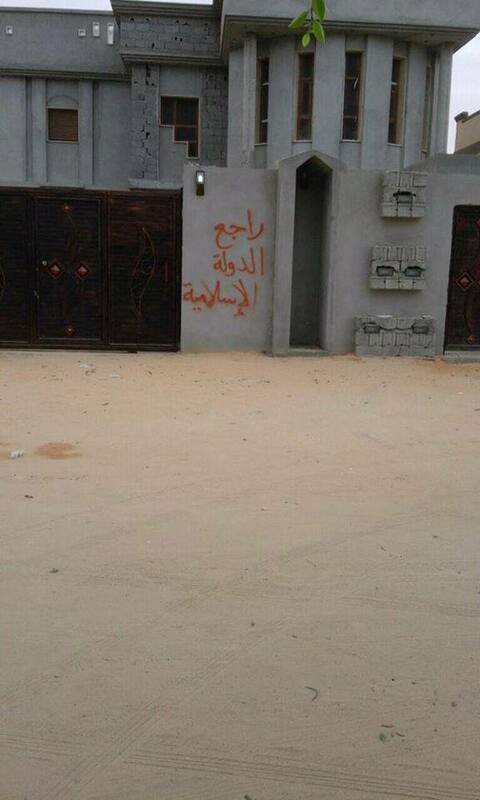 Jawavi battalion, one of the armed people Brigades Baktham battalion camp of Ali Hassan al-Jaber (Qatar) in Casablanca. And fully controlled, and The client continued to Qatar Mohammed Bogfer camp. 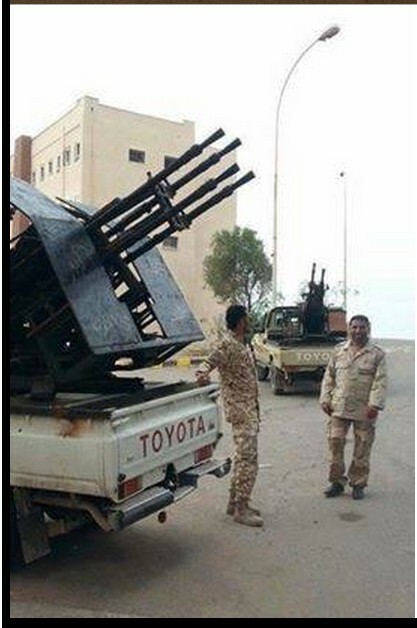 by LIBYAN ARMY forces under General Hftar. 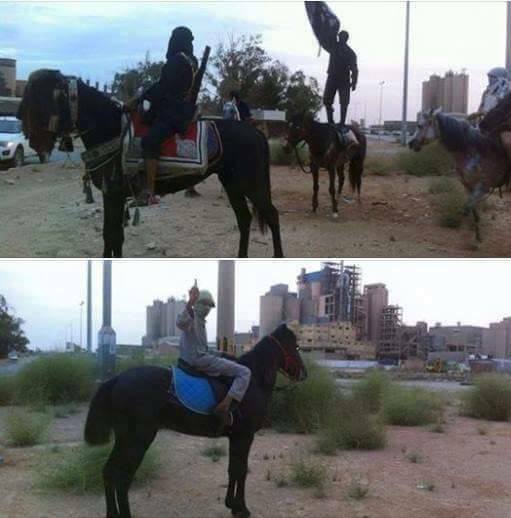 Organization ‘Daash’ are using horses inside Rulrhh and al-Hawari streets. An audio recording of two Tunisians, who are following ‘Daash’. They threaten the people of Derna with Adakkmat slaughter; and, the captive women and the people of Derna are describing these infidels and apostates. 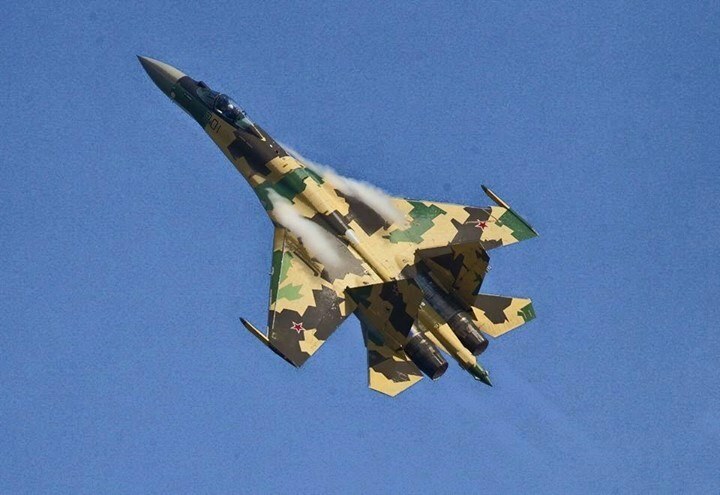 Libyan Airforce Warplanes targeted a bulldozer off the coast of the city of Derna. 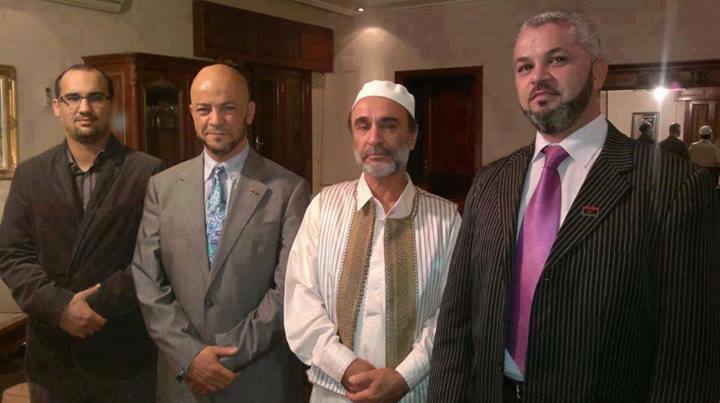 Followers of the Libyan affair. and to be in the heart of the event, we will be all of us Btabrq and your our account in order to show the truth to the citizens who elected the ‘Council of deputies’ for the ‘MAJLIS al-Nuwaab’. 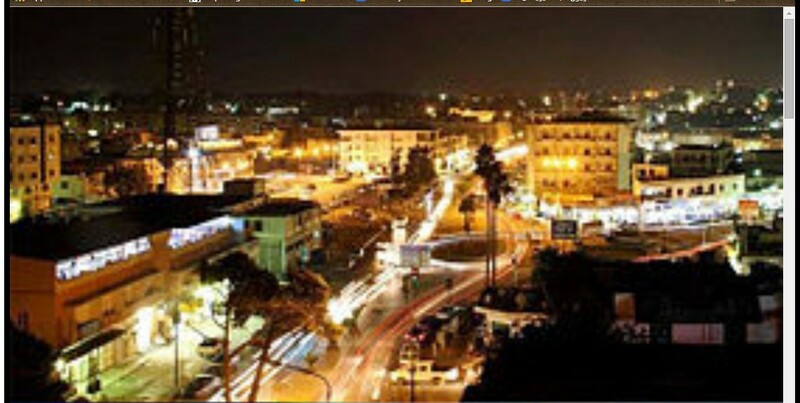 We also call upon all journalists and media professionals and activists, in the city of Tobruk, in order to work and get ready to welcome colleagues, and arranged with each other for Transportaton. كل القنوات الليبية والوكالات المحلية وبدون استثناء..
سنكون جميعنا بمدينة دار السلام ( طبرق ) مقر مجلس النواب من اجل حضور الجلسة الطارئة لمجلس النواب و التي ستعقد يوم الاثنين القادم 5/ أكتوبر و ان نكون في قلب الحدث، سنكون جميعنا بطبرق و على حسابنا الخاص من اجل اظهار الحقيقة امام المواطن الذي انتخب مجلس النواب. كما ندعوا كل الصحفيين والإعلاميين والنشطاء في مدينة طبرق من اجل العمل والاستعداد لاستقبال الزملاء وترتيب ذلك مع بعضهم البعض . 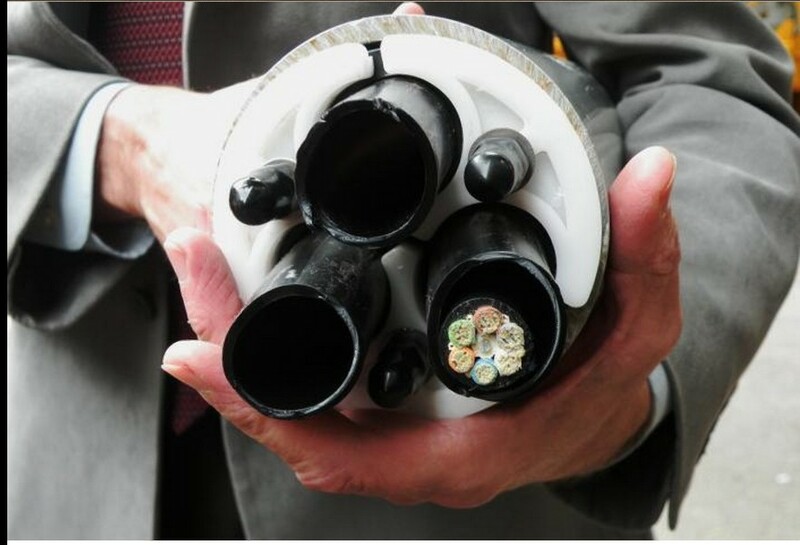 Communications networks interruption due to rain Seoul resulting damage to Cable lines. The return of telecommunication services and the Internet in Sabha. Knead Manshayya happened in the area in the city of Sabha in Dar Muammar neighborhood ….. Because we honor to participate in this topic battle supervising Fethiye for those young heroes of religion to the Covenant and the department and still fighting from street to street in order to fulfill its duty and Belahd until victory …. .
حدث دلك في منطقة المنشية في مدينة سبها في حي دار معمر …..ولننا الشرف المشاركة في هده المعركة المشرفة فتحية لأولئك الشباب الأبطال الدين علي العهد والقسم ومازالوا يقاتلون من شارع الي شارع من أجل القيام بالواجب والوفاء بلعهد حتي النصر …..
after shooting dead near Gardah Health Complex. 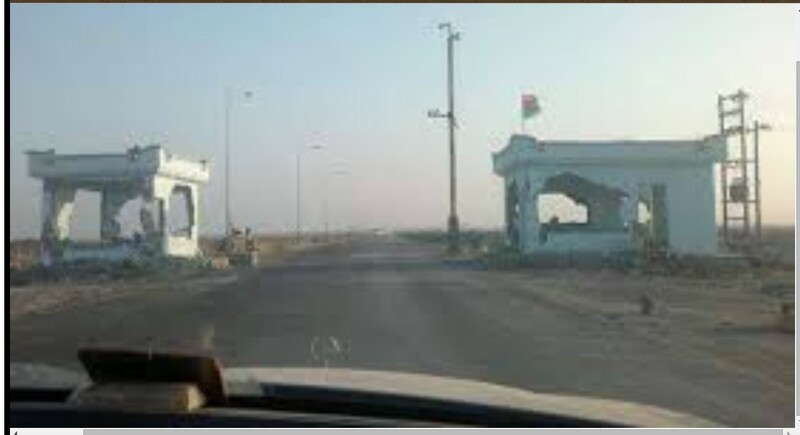 Egypt prevent the entry of al-Epien by road from A(O)msaad-Maaada ‘Peace gate’ born in Tobruk and Amsaa and Ben Ashhab. Aren’t we all the believers, believe that the messenger of Allah (Muhammad, PBUH) is our leader and guider?! 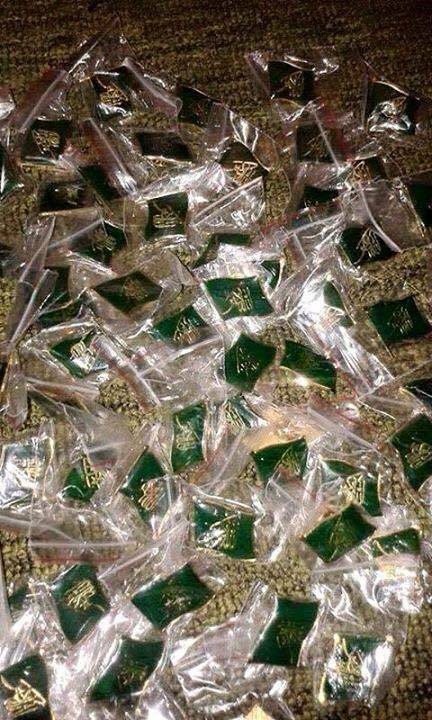 All Muslims – Not only Shia – all Muslims believe certainly that Muhammad, PBUH is their leader and guider. (( Then, this is Ali also his leader and guide, as well as Mu’ammar al-Qathafi )). And how great is the word: ((This)) !! This important reference noun ((This)) is what the Zionists are looking to own it, after we have lost it. The Jewish came to tell us who should be our leader !! Isn’t it right? Aren’t we all waiting for the one who America will say : (( This is the leader of Iraq )) ?? (At that time). 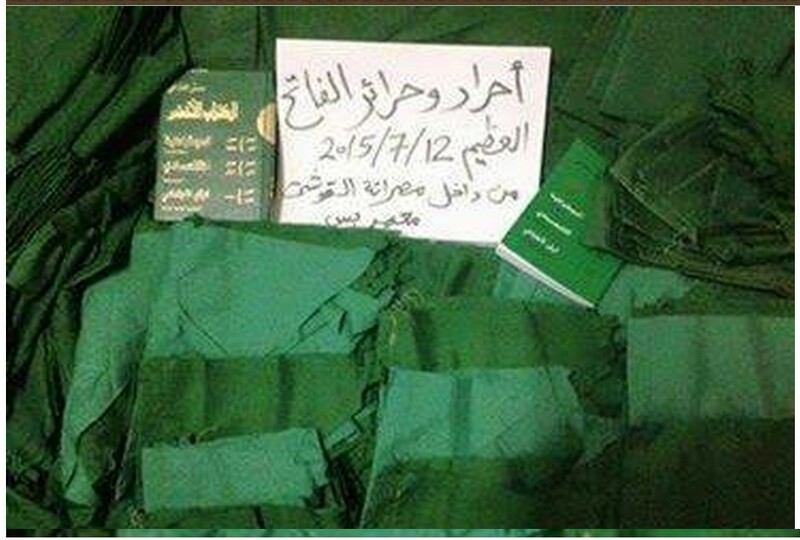 A photo for Sayyed Hussien al-Houthi. 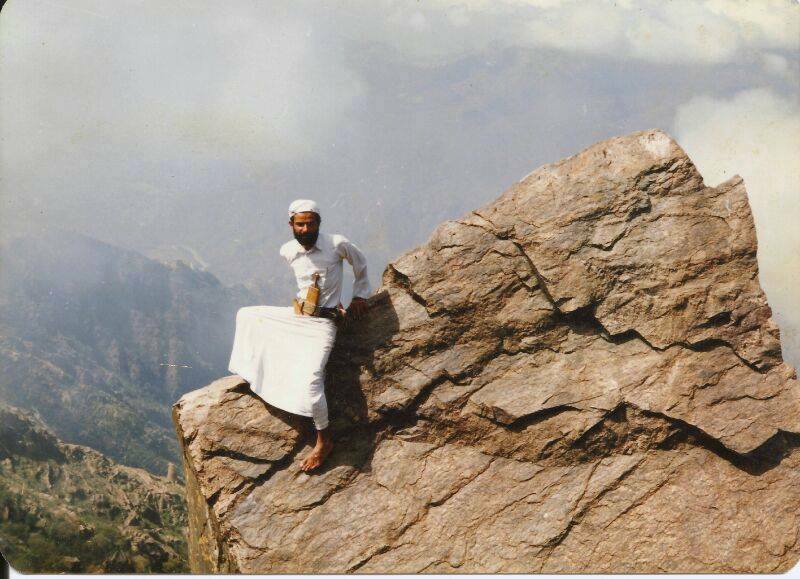 This is the simple person who made a great renaissance in Yemen and the region, with his Qur’anic lectures and movement. The Day of al-Walayah ( al-Ghadeer). The Day when the prophet Muhammad told us to follow Imam Ali as we follow him. 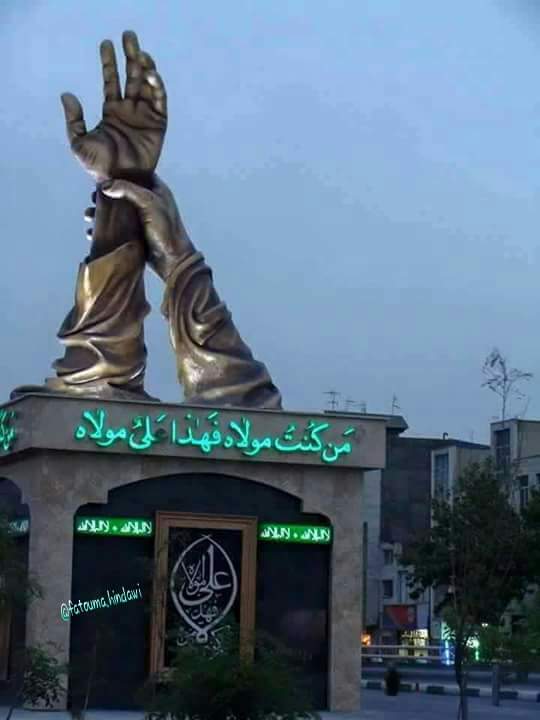 ” It is ironically that this anniversary (the day of Ghadeer) comes while the Arabian and Islamic Nation are going into a new kind of Guardianship! A Jewish Guardianship, a Zionist Guardianship ! This should let our Nation find out what a loss, when we refused Imam Ali who is the best and most complete leader after the prophet Muhammad. Yemen – Sa’ada – Marran. High maternal Libyan pilgrims by the incident defend Mina, to 6 after identifying the bodies of two missing, while 14 are still missing pilgrims ! Was found Haj Abdarahman Melad al-Dgra of Tripoli in hospital at Jeddah, one of the nine missing, in order to keep the number of missing: eight Libyans had been identified. Haj Abdarahman Melad al-Dgra of Tripoli identified by his wife Flower Muhammad Ali al-Dojala. This is Yemen. The desperate, humiliating clamour for water. No oil, no electricity, no gas, little food and certainly no money to buy it with as most are now suffering unemployment. This is a country being bled dry…in silence. Today the EU withdrew its request for a neutral committee to investigate the war crimes in Yemen. Even Ireland has capitulated. 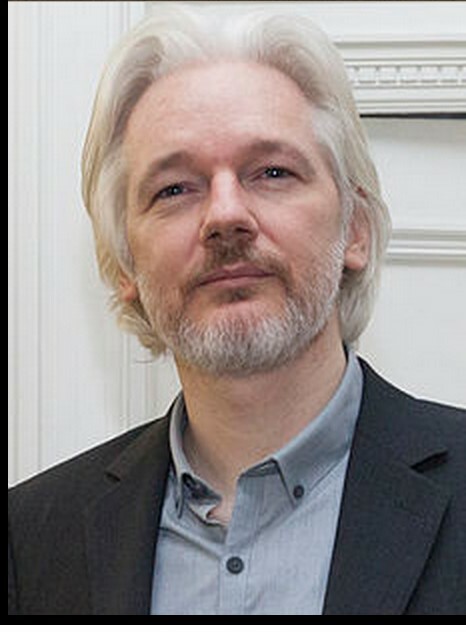 One of the greatest crimes in history against an entire nation is going unnoticed and unpunished! The leader of the brigade 18 in Jizan, Brigadier-general ‘Ibrahim al-Hamzi’ has been killed by the Yemeni forces. They found his dead body today in Jizan. New scenes for the destroyed vehicle of the leader of Saudi Borders Guards in Jizan, al-Khuba. He came to the battlefield at al-Khuba city of Jizan trying to raise the morals of his soldiers there; while he didn’t expected that he will be a target for the Yemeni forces himself. Saudi has announced itself the death of this leader by the Yemeni fire. Bahrain king’s son, Prince Khalid bin Hamad al-Khalifa, the son of Bahrain’s king, was injured in a missile attack by the ‘Yemeni Army’ and the ‘Popular Committees’ on a military base of the Saudi-backed forces in Ma’rib, Yemen, sources in Manama confirmed on Wednesday. On September 14, several sources revealed on their twitter accounts that Khalid had been either killed or injured in Ma’rib. According to al-Safir newspaper, Khalid has not appeared in front of the public ever since then and was even absent in the funeral ceremony of Dubai ruler’s son and the media have just been informed by his office that he is running affairs and fulfilling his daily duties. But sources close to Khalid told the daily on Wednesday that he had been injured in Ma’rib, without disclosing further details. The report came after informed sources announced on September 21 that son of the Prime Minister and Vice President of the United Arab Emirates Sheikh Mohammed bin Rashid al-Maktoum, was also killed in the Yemeni revolutionary forces’ attack in Ma’rib province, rejecting claims that Sheikh Rashid has died of heart attack. “Sheikh Rashid and a number of other UAE forces were killed in a Yemeni forces’ Katyusha attack in Ma’rib province and reports on his death as a result of a heart attack are only aimed at deceiving the Emirati people who are demanding withdrawal of the UAE troops from Yemen,” the Yemeni Press quoted informed sources as saying. 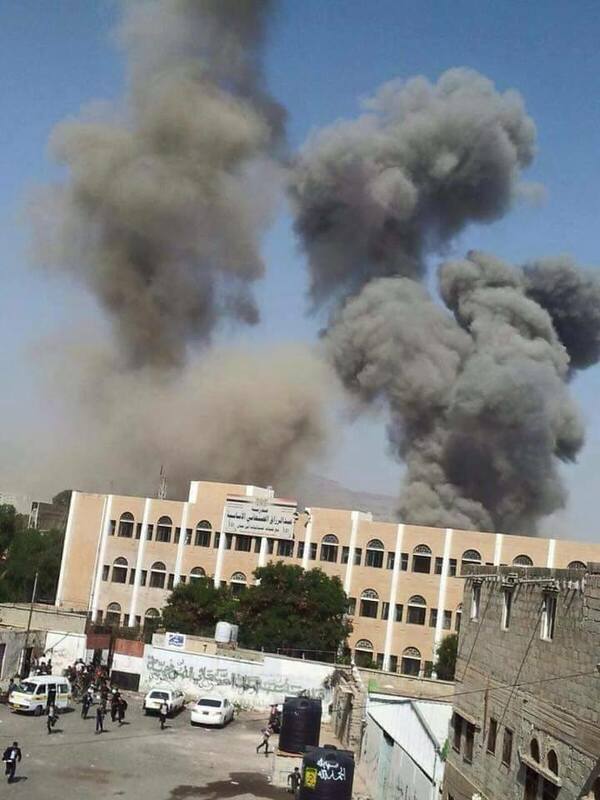 A Saudi-led coalition force has been striking Yemen for 190 days now to restore power to fugitive puppet-President Abed-Rabbu Mansour Hadi, who resigned and fled to Reyida. The Saudi-led aggression has so far killed at least 6,433 Yemenis, including hundreds of women and children. A very large attack for the invaders has broken and defeated by the ‘Yemeni Army’ and ‘Popular Committees’. The invaders have used today the different weapons, including the International banned phosphorous and cluster bombs without little benefit !! Many armored vehicles destroyed, many soldiers killed including high ranking UAE officer and maybe more, but this is the latest news from there. 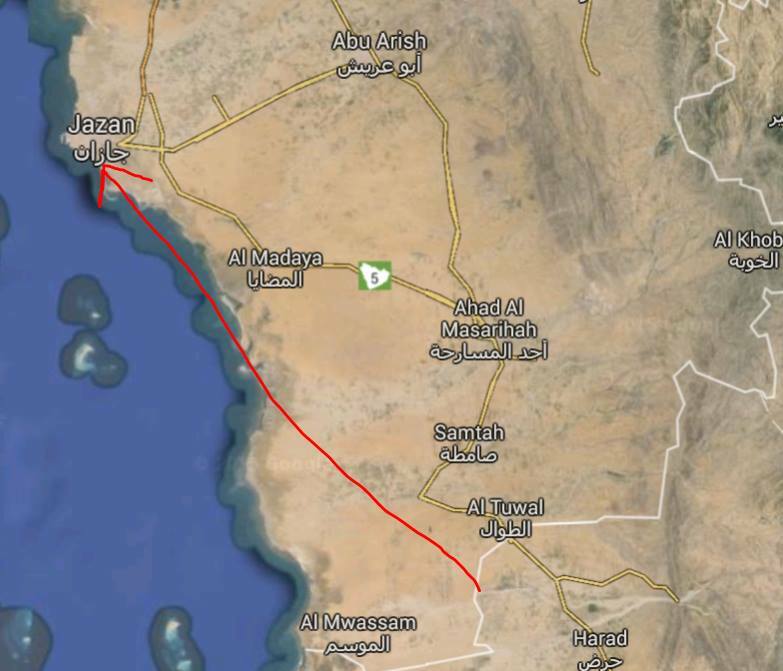 ‘Yemeni Army’ and ‘Popular committees’ have taken control of “Ka’b Al-Jabri” and “Muhannad” village in Jizan. ‘Yemeni Army’ and ‘Popular Committees’ destroying 10 Saudi vehicles at “Hamidha” village behind al-Khuba city in Jizan. 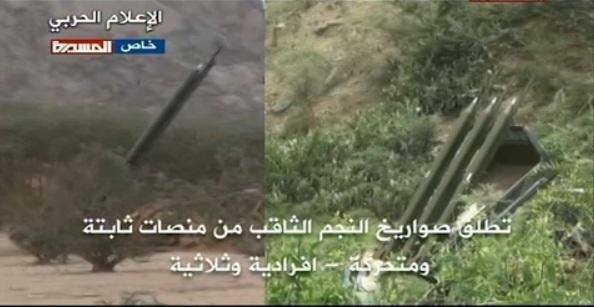 A sample of the weapons the ‘Yemeni Army’ and ‘Popular Committees’ have captured. 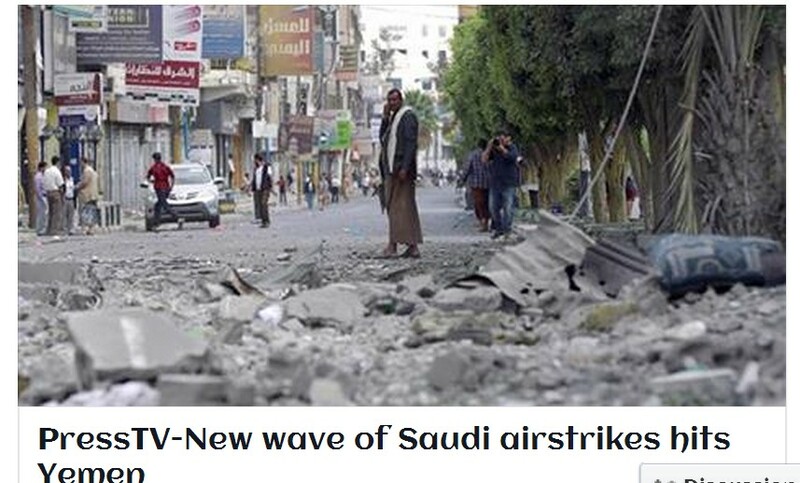 This is a TV Report for al-Masirah TV from inside Qamar village in Jizan. These weapons and military equipment are all American homemade. 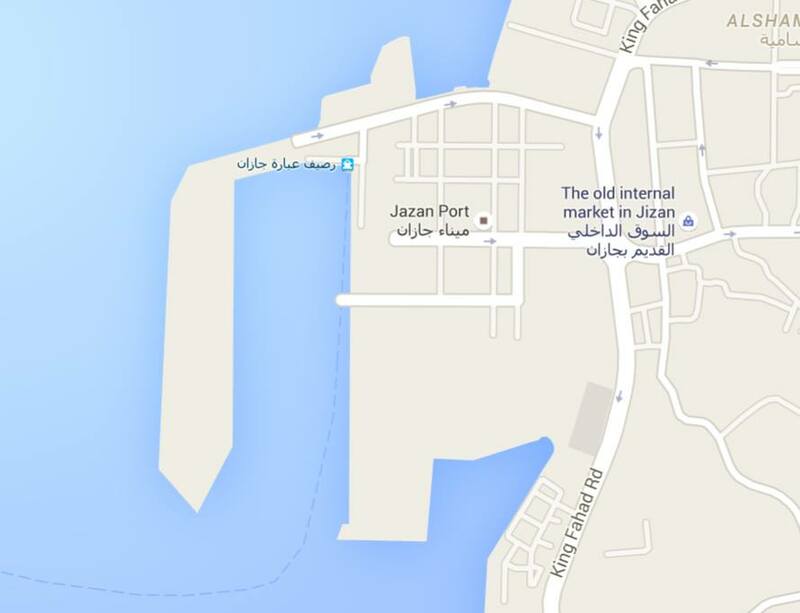 ‘Yemeni Army and ‘Popular Committees’ attackingJizan port with the Yemeni Homemade missiles (Al-Najm Al-Thaqip) (range of 75 km). Saudi War planes attack on it’s own soldiers by mistake in the clashing area with Yemeni forces in al-Khuba city of ‪Jizan‬ Province. 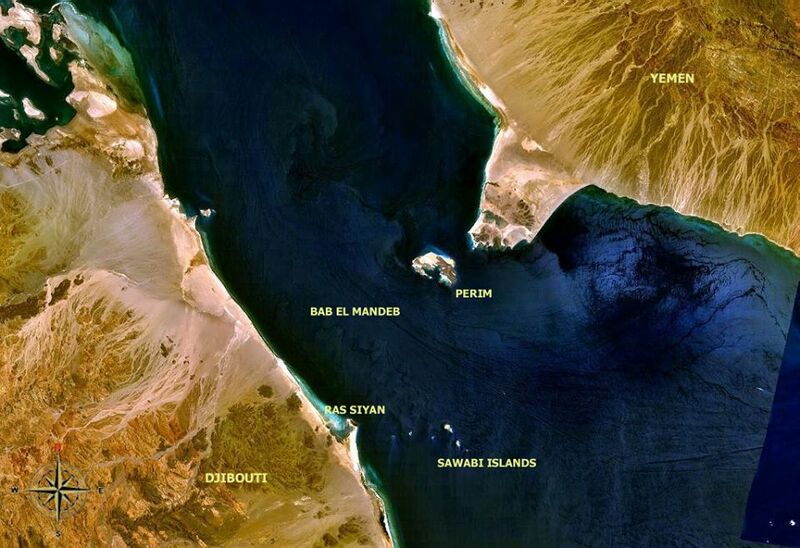 ‘Yemeni Army’ and ‘Popular Committees’ attacked the battleships which were trying to advance to Bab al-Mandeb. 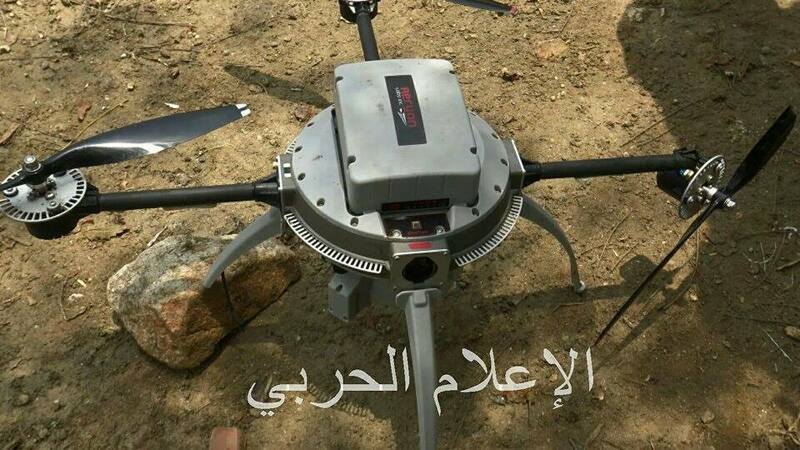 The ‘Yemeni Army and ‘Popular Committees’ has shot down an Apache copter at Bab al-Mandeb. 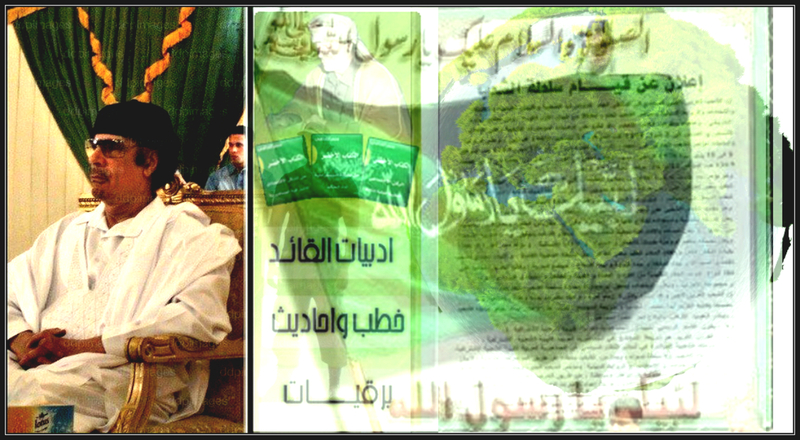 Sharaf Addeen al-Wainani a partagé la publication de ‎محمد عبدالسلام‎. 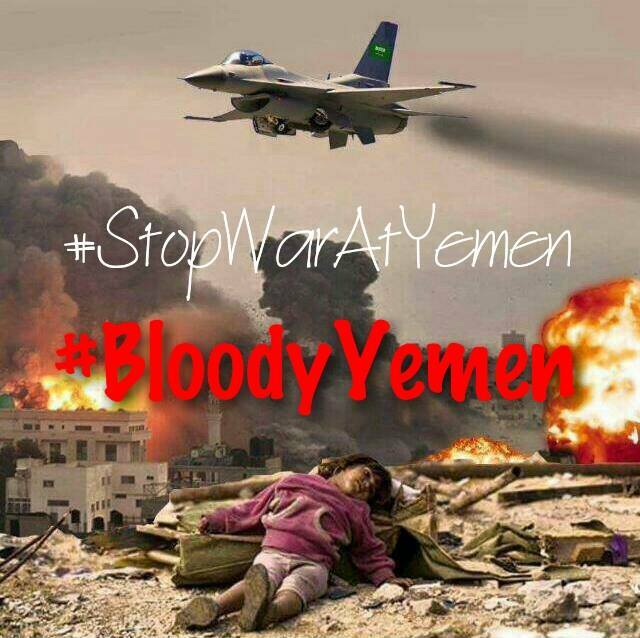 But now the enemy is launching a battle in Bab al-Mandeb and attacking the bases of the Yemeni Army which is doing its job for the securiy. This step of the aggression is a clear and unjustified escalation, its goal is to stir the international community about the security of the fairway. This is because the aggression has reach a dead end, the aggression on Yemen became now just for revenge, and now they are trying to drag the world to their irrational adventures !! 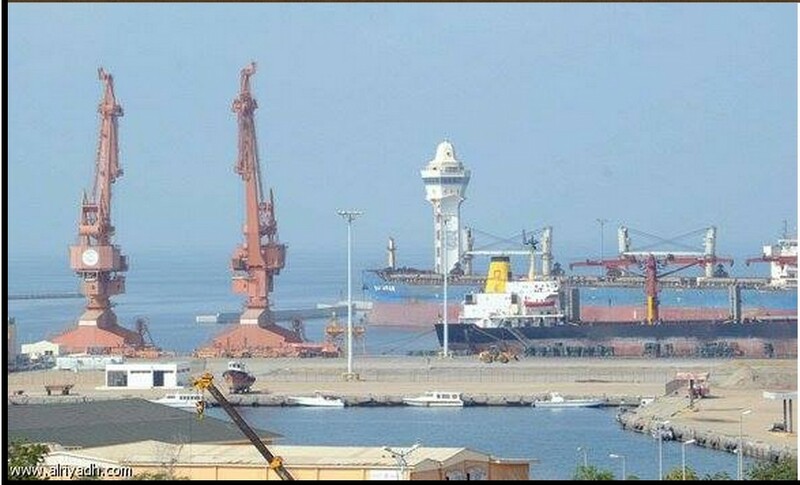 We are warning the international community to pay attention to this point, and to see who is trying to launch a conflict at Bab al-Mandeb without any reason, which is the enemy who is preparing the region for al-Qaeda and ISIS which is being clear at the places the enemy entered it. Now, the Yemeni Army and ‘Popular Committees’ will defend the homeland everywhere and every inch of the Republic of Yemen, and they will defeat the invaders completely,… Insh-Allah. 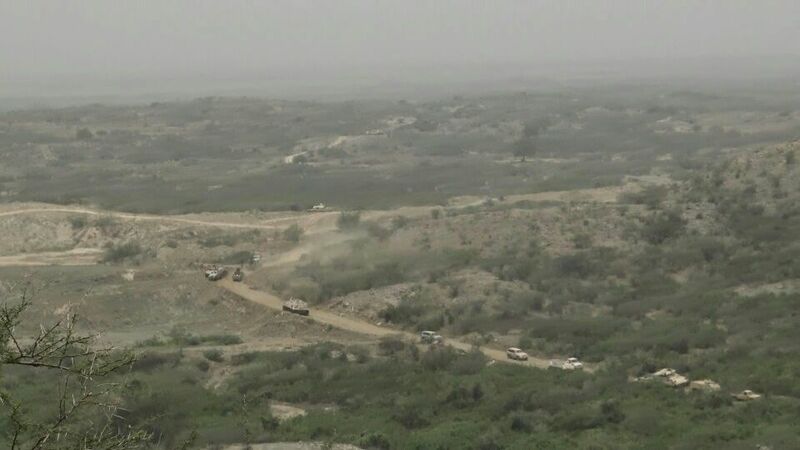 Destroying 7 armored vehicles of the aggressors were trying to advance into Bab al-Mandeb from al-Sabiha area. 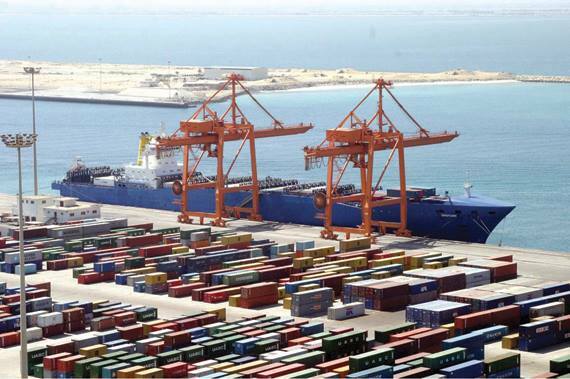 ” Along the previous period, we were careful to keep Bab al-Mandeb away from the conflicts. * Yemeni Army and ‘Popular Committees’ attacking a Saudi vehicle at al-Raboah city killing all soldiers inside it. * A high Saudi officer killed by the Yemeni forces at al-Raboah city of Asir. Photos for another killed Saudi officer few days ago. Putin: Libya came under aggression because traveled contrary to the UN resolution, and are now seeing the same thing. Putin: terrorist organizations .. offend Islam and Islamic countries is a key element in the fight against Daash. Putin: Time to scholars of Islam has come to speak. Sodawa to meeting them. Putin: can not resolve the problem of refugees in camps and al-Msaadat must solve the problem Paulssth state institutions and state support to carry out their duties. Putin: must support the Syrian regular Army, and Kurdish forces to confront the terrorists and Daash. Putin: the situation in the Middle East is very serious. Putin: delivery of weapons to the Syrian opposition Daash ia a disaster and fatal mistake of the United States. Putin: violent foreign intervention in the Middle East led to the destruction of lifestyles. Putin: export revolutions in the Middle East, North Africa and the blatant aggression destroyed everything ..
We have to learn from the Soviet Union, when it tried to export his revolution, which led to disastrous results. Roma gangs of prisoners of Libya more than the population of Qatar, Haha …. la vidéo de Nizar Elannabi. Nizar Elannabi a téléchargé une nouvelle vidéo. The Minister of Health, Rida al-Aclai, in a statement on Thursday, doctors working abroad to the formation of a national program under the name of «program for professionals working in the health sector abroad». Through the program Libyan doctor can, working abroad, providing service to the people of his country in the form of clinics or surgeries, not less than 20 clinics, or process in a month. The statement obtained by «Gateway center» a copy of it, that the program includes four lectures for continuing medical education, or health education in a teaching hospital. He stressed that the Ministry of Health is committed to pay a sum of five thousand Libyan dinars travel and subsistence allowance, and that after the adoption of the role played by the doctor from the general manager of the hospital where he had worked. Canal Libya’s international space. Libya International Tv Channel. _ We discussed with the Egyptian side to the issue of visa and will re-examine the issue. – In an editorial Libya National Day speech in particular, we want you there and I have asked the Libyan people in these circumstances, what are the priorities of the current government? – Firstly thanks and appreciation to all the honorable and young faithful who have excellent work has been equipped with this radio in this period, the brief, which indicates the extent of their interest and their devotion and their sense of responsibility and exposed him to Libya at this stage, the serious and the media very dangerous weapon must therefore harness these arms to serve the cause and raise awareness Libyan citizen of what is happening and explain the truth to him. The government put priorities in its program submitted to the House of Representatives and these priorities concerning security, both building and army units and support weapons and training, processing and payment capabilities as well as the police an institution that must be deployed in the streets of Libya has been subjected to many of marginalization and the second priority is decentralization have suffered the Libyan people over four decades of marginalization and injustice and that things were centralized in the city of Tripoli and issued on the one hand and strive to resolving these matters and make all regions and municipalities have a board such as the Council of Ministers shall affairs in this region as well as the services and infrastructure, health, education, electricity and telecommunications all these will be focused on during the duration of the work of the government, a period of specific short-and fourth point to start some economic projects as a complement some residential facilities that have reached the execution rate where 80% of this government must find alternative solutions as finding companies accept work and the completion of these projects and most of Libya’s population of young people and the need for housing and these are the priorities of the government. – Is there coordination with the military leadership about the ongoing operations in Benghazi Will there be a presence in Benghazi for the government in terms of service? 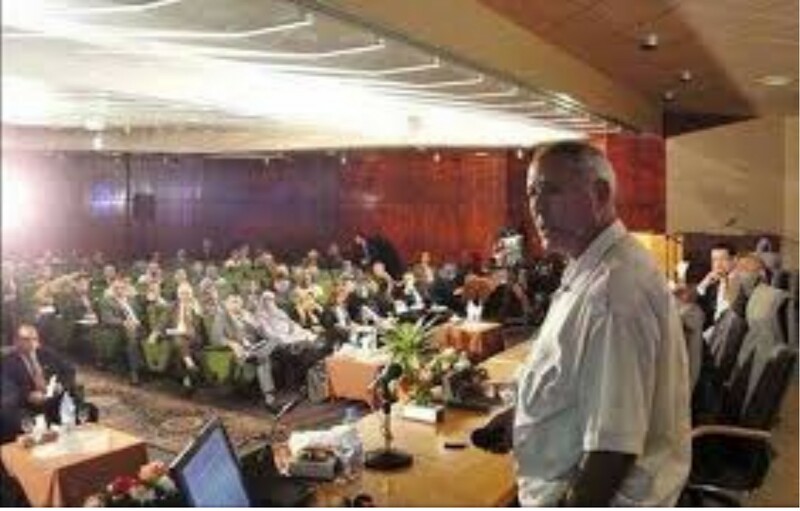 – First, the government did not leave Benghazi and the Cabinet Office actuation and on his head and the Minister and the whole crew in addition to that, yesterday there was a meeting of the crisis for the eastern region and support, so we were not honest Benghazi spent in this period, about 72 million were distributed between the rent and cashing in on bottlenecks the city and the Chamber of security and all the support was the result of the suffering experienced by the citizen and we are in contact with Army Chief of Staff in the science of what will happen and we paid the Minister of the Interior that the police are ready to join, and realized that the young people of Benghazi are aware of the responsibility and Satsdron scene with support from the Libyan army and aviation as well as the Marines who are in Benghazi and all this devices will harness to support the Libyan citizen and eliminate hotbeds of terrorism in the city. – You all know what endured citizens in Tripoli as a result of groups called the dawn of Libya, which entered the city four months ago under the pretext of securing and of course what happened is the opposite of mass for all state facilities and youth on standby and call upon the youth docking with the army to eliminate these terrorist groups that destroyed the country and the capabilities of the state and Rdjatna boxes background other and to assure that all of the terrorist act of murder, robbery and looting of these crimes, no statute of limitations if the state today does not impose full control over all the land and the city of Tripoli, but the coming days will prove that every person embarrassed folly and injustice will be punished after a fair trial, and the world would be See it, God willing. Bending: oil revenues under the control of the Libyan state and government legitimacy emanating from the Libyan parliament. – There are questioned in the street about who controls the Libyan oil revenues? – This problem we suffered since the government had no objection to the solution on the payment of salaries guard oil installations and we adopt this solution In fact, there was much correspondence and paid the salaries of about 100 million dinars, and the remaining 72 million dinars are being processed until the adoption of the budget, oil production rates reached more from 800 thousand barrels per day and cash receipts for the month of August about one billion, eight hundred million did not materialize since before the disturbances that occurred in the area of ​​ports and oil revenues intervention wholly Arab Bank outside and then transported to the Central Bank of Libya and flowing to the Ministry of Finance, under the control of the Libyan state and government legitimacy emanating from the Libyan parliament. 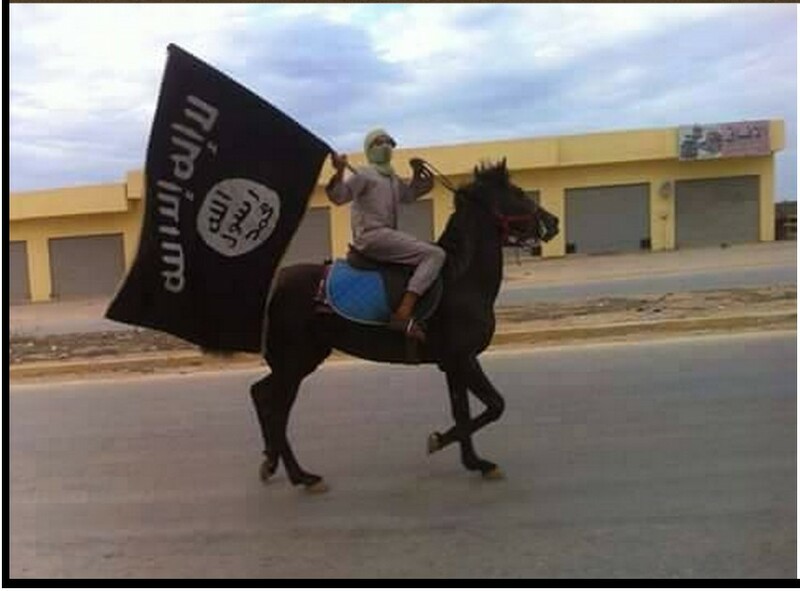 – Is there Daash in Libya? – How do you see the government fatwas issued by Dar Al-Fatwa? – We certainly when we talk fatwas are issued by one MB person, Dr. Sadiq Ghiryani which, unfortunately, a man aged 70 and older and graying invades the hair of his head but he is not ashamed of issuing fatwas until the person non-literate and non-Faqih religion teaches that this fatwa has not been of the Islamic religion and fatwas serve the purposes of specific political and thankfully the Libyan people conscious and aware of these fatwas, no Libyan citizen reliable nor mean at all they mean is personally and those around him and any other person shall issue such fatwas bear visited on the Day of Judgment because this falsehood and injustice did not hear at all the world’s mufti state Lefty process of killing and did not get never in history and this Mr. Sadiq Ghiryani Lefty fatwas in public and even those who do not know anything in religion can not be accepted and do not believe her and therefore rulings and rejected by the Libyan people, knows right from wrong, a Muslim in nature and on the doctrine of Imam Malik. They all year and we do not have any other communities in order to Aftina other fatwas. – What are the results of the visit to the Arab Republic of Egypt after invite you to visit by President Sisi? – Of course, the visit was at the invitation of Mr. Abdel Fattah al-Sisi President of the Republic of Egypt and the role of Egypt’s historic affirm that the Libyan people in their forties did not find except Egypt until they returned with the army Sanusi in the fifties of the last century during the Italian occupation of Libya and also is a big country and our neighbor and the security of our security and stability The visit was to discuss cooperation in the fields of military training and increase efficiency in various capacities since the army tradition and also the police and the FBI and we targeted in the visit and signed the agreement in the field of economy and also the delegation healthy senior Egyptian Sizorna on Thu Akaddam of military medicine and civil for the Eastern District. – Always after each visit to a Libyan official to Egypt graduated conversations in the pages of social networking for the abolition of visa restrictions to visit Egypt has you discuss it? – Has to discuss the matter with Mr. President and Prime Minister and Minister of Interior and agree Egyptian Interior Minister with his Libyan counterpart on the development of a mechanism as a result of the presence of security vulnerabilities in our Vtm put this procedure is in the process reconsidered. Bending: the ‘international community’ does not recognize the play comics that occur in Tripoli. – How did you find abuse of the international community about the situation in Libya? – Assure everyone that the international community does not recognize the play comics that occur in Tripoli and the best proof of that visit, Mr. Ban Ki-moon’s recent Tripoli and his refusal to meet with Mr. Nouri Bushmin and Mr. Omar Hassi after asking for it and told them that they do not represent any recipe legitimacy of a slap confirms that the international community stand with the body of Forensic chosen by the Libyan people and therefore the international community did not recognize what had happened in Tripoli and consider it outside for legitimacy and recognition of the entire House of Representatives and the whole sympathetic with Libya until the righteousness of safety and check the security and stability table of dialogue and understanding, integration and participation of everyone, Is it conceivable that a group a few do not constitute even 3% of the Libyan people impose its will and cancel what was approved by the Libyan people to the parliament, which is witnessing the world that he was in a way the series and free will, and when they find they have no place in Parliament and do not have a sound Top They wanted to create this sitcom, and that where it is given a human being miserable does not understand the politics thing and wanted to obstruct the march of the Libyan people, but will be held accountable for all the crimes they have committed to the people. 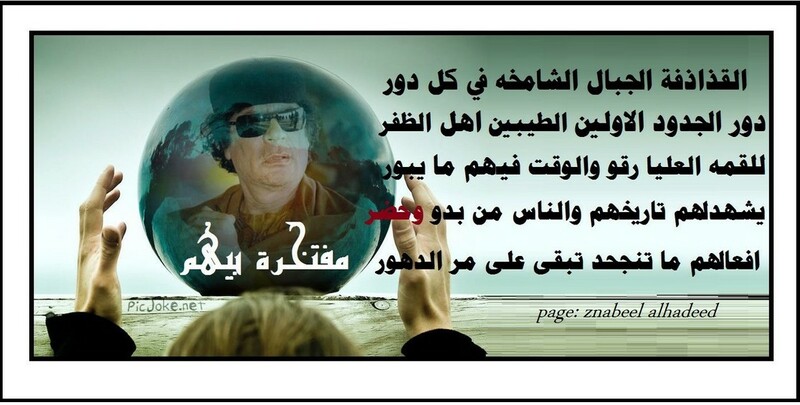 Bending: reassure the Libyan people that will be edited Tripoli, God willing. 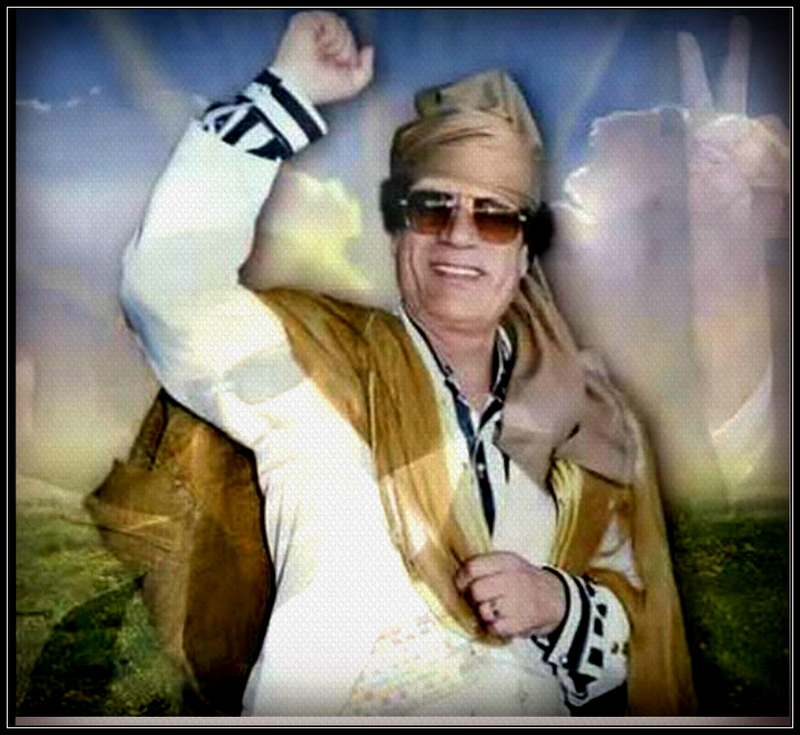 – A final word flew to the Libyan people. 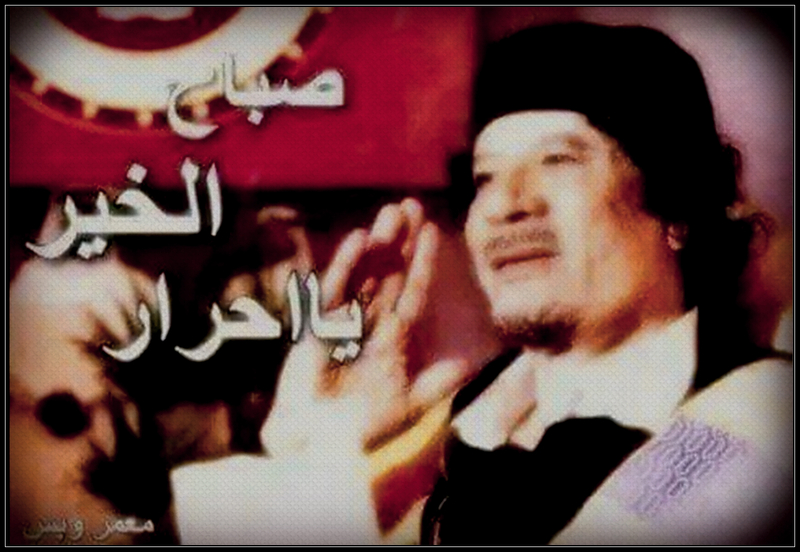 – Reassure the Libyan people that Tripoli will be edited, God willing, and everything I hope that young people in Tripoli that leap every Libyan citizen free jealous does not accept humiliation, tyranny and life is the dignity of either live above ground our dignity or die standing better for us from the life of humiliation, so I hope everyone that is himself and prepares and dock with the Army for the Liberation of the capital of these terrorist groups that created the mess and dispersed families and stopped the study in schools and universities and burned the airport completely destroyed cities full REGION and Rishvana disaster area completely, families and Rishvana outside the area and Rishvana and displaced people at home and abroad as a result of people want to rule the Libyan people using strength and this is impossible to get if they were able to realize that the devil is a dream paradise can not be achieved, God willing, as long as there is a will and sincerely youth can not be left Libya for these. Mr. Prime Minister Abdullah bending given instructions to the Foreign Ministry to renew and issue passports to all Libyans who are outside Libya away from politicizing the issue and exploitation Fjois right of every citizen to travel to Libby. 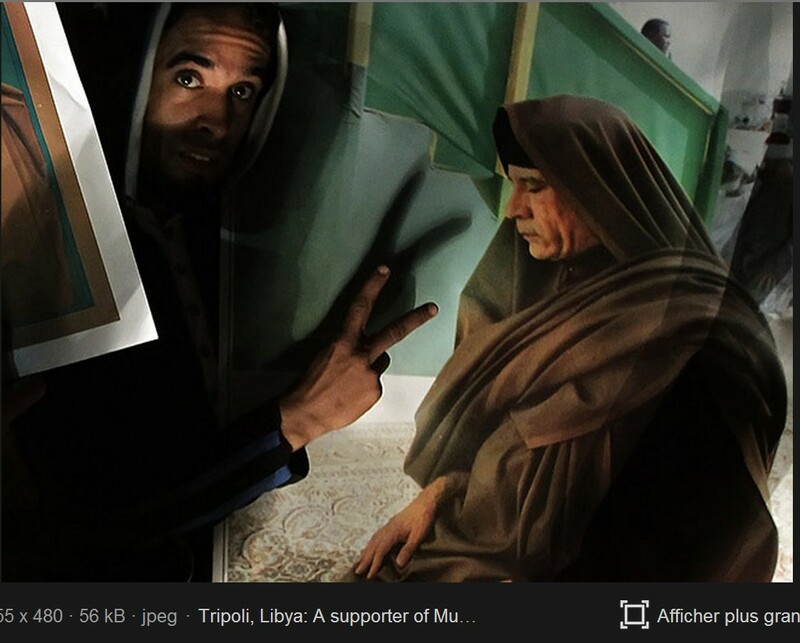 For citizens review Libyan embassies abroad and make their transactions. for «Gateway center» that the forces of the national army controlled on several axes and locations of the Western Mountain Front. They said physical control of the western half of the Kklh and now combing the area, and that the forces of the Libyan army is making progress axis crushers and head Allf, and Abu Shaybah. He pointed out that forces ‘Dawn Libya’ suffered heavy losses in lives and equipment, and the Army at Bir Sheep have many of their military vehicles and tanks. Col. material said that everyone is working according to a plan of military organization, stressing that the battle is not over yet, and that their forces will continue to progress. The western region is witnessing military operations combining the forces belonging to ‘the operations room Libya rebels’, others belonging to the Army Brigade Qaqaa, and still also, armed forces of the Libyan tribes. But they all fall under ‘the operating room set up by the Joint Chiefs of Staff’. أكد آمر غرفة العمليات العسكرية في المنطقة الغربية العقيد إدريس محمد مادي لـ«بوابة الوسط» أن قوات الجيش الوطني تُسيطر على عدة محاور ومواقع بجبهة الجبل الغربي. وقال مادي إنهم يُسيطرون على النصف الغربي من ككلة وأن المنطقة تمشط الآن، كما أن قوات الجيش الليبي تُحرز تقدمًا بمحور الكسارات ورأس اللفع، وأبو شيبة. 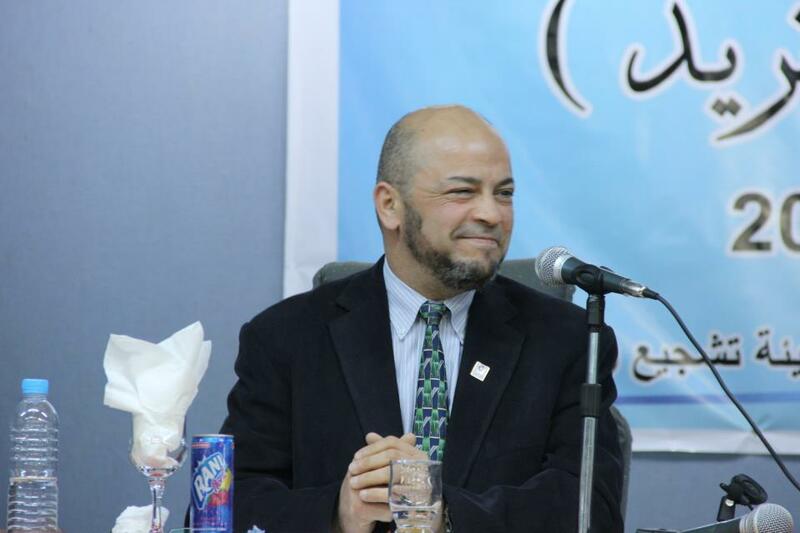 وأشار إلى أن قوات فجر ليبيا تكبدت خسائر فادحة في الأرواح والعتاد، كما أن الجيش غنم العديد من الآليات العسكرية والدبابات. وأوضح مادي أن الجميع يعمل وفق خطه عسكرية مُنظمة، مؤكدًا أن المعركة لم تنته بعد، وأن قواتهم ستستمر في التقدم. يذكر أن المنطقة الغربية تشهد عمليات عسكرية بين قوات تابعة لغرفة عمليات ثوار ليبيا وأخرى تابعة للواء القعقاع وجيش القبائل المنضوي تحت غرفة العمليات التي شكلتها رئاسة الأركان. 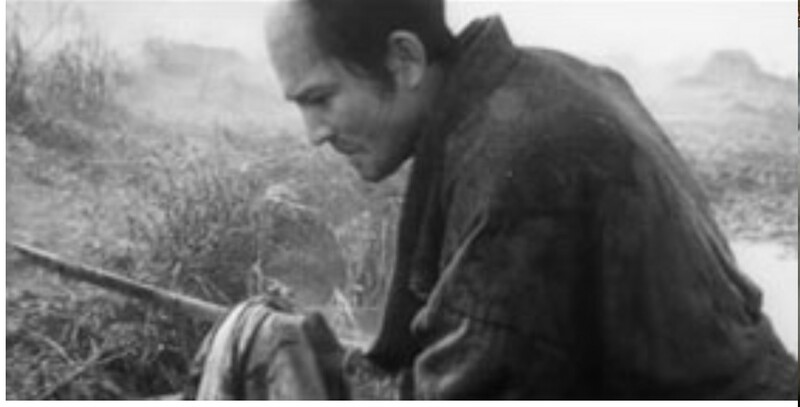 Madamkm what Tqdrohash Alash Taatgqua and Athtoa souls in Baihe positions …..
مادامكم ما تقدروهاش علاش تتحككوا واتحطوا ارواحكم في مواقف بايخة …..
Egyptian presidency, denies the Egyptian planes bombed targets in Libya. by very capable Libyan aviationists. ان‎ a partagé la vidéo de ‎بانوراما اليوم‎. That a partagé la vidéo de Panorama today. # Tripoli is not for outsiders not to terrorism. #طرابلس لا للخوارج لا للإرهاب. Greetings to the people Got Alshall and Fashloum and door bin Ghashir inspiration for huts. Fashloum and Friday Market, Tripoli, against MB Misurata terrorists. 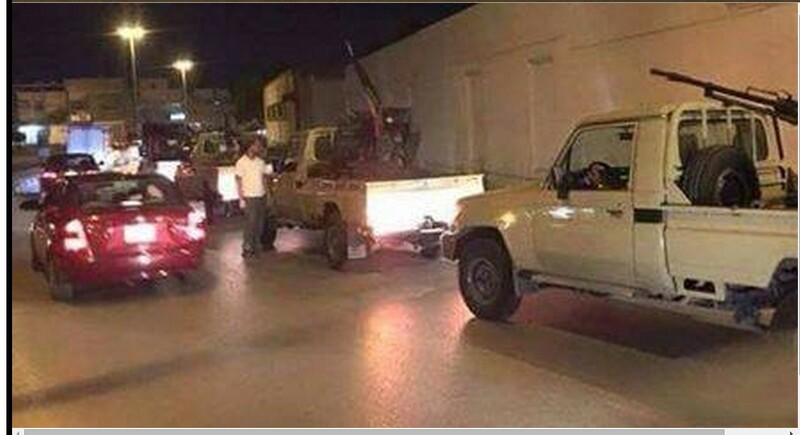 The angle with the army and the police and against militias brothers Misrata terrorist a partagé la photo de Tripoli fashloom market news Friday. 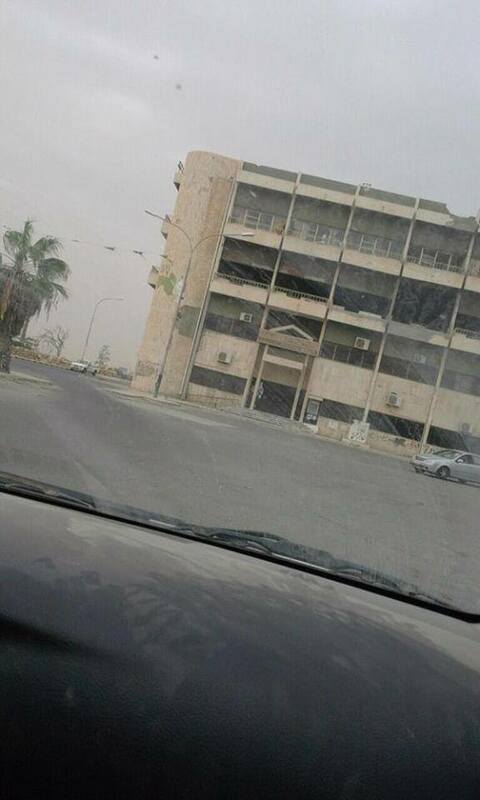 Armed clashes in the city of # corner, and close the entrances to the city. Voices of clashes inside the city corner. And attention toward the corner of the city. Gharyan liberated from Roma Libya. 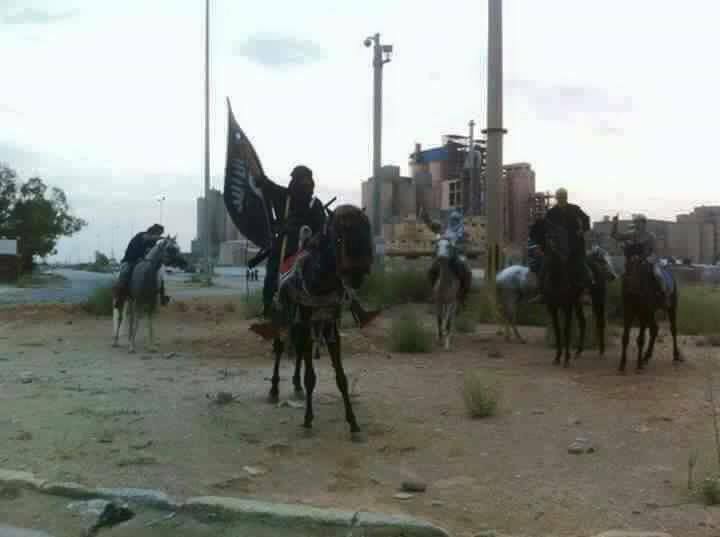 Roma Libya militias now crying from inside Gharyan. 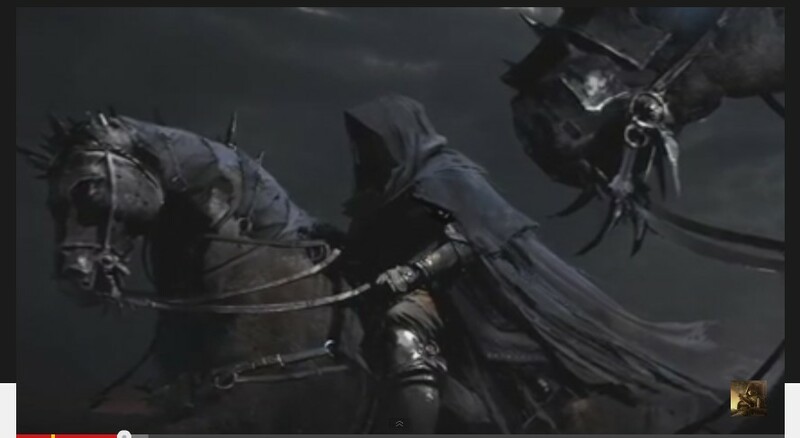 after the escape of a large portion of their leaders …. al-Fodah and confusion permeated the city. Men on the outskirts of Gharyan are Praying. You frequently pray for your brothers. What happened was not in the perception of the enemy fire and accuracy Victafah operation was to have an impact on the destruction of Libya militias causing the collapse of the whole them? And the flight of their leaders and the surrender of a number of them. Iboshibh Everybody knows what Iboshibh? 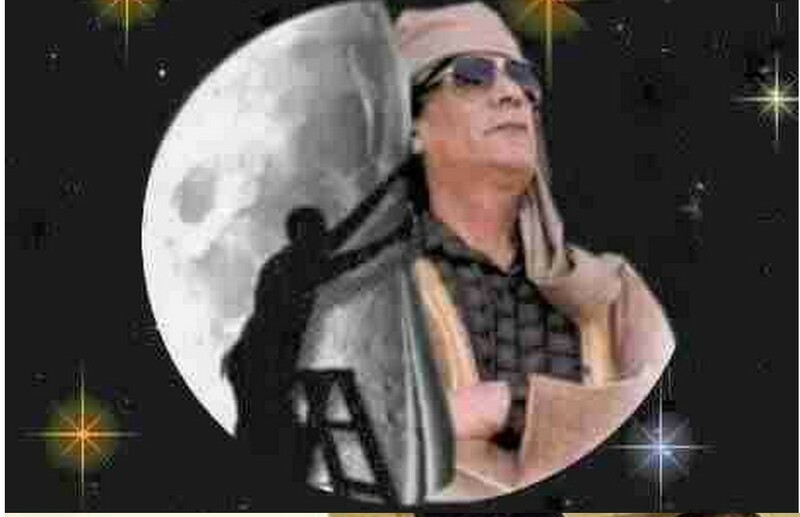 This evening and in the process shows how the quality of the experience and readiness of military forces were besieging a group of militias for the bombing of Misurata Iboshibh in Libya and under harsher blows surrendered completely. خاتمة التقرير عن #ككلة اليوم .. Conclusion # Kklh report today .. 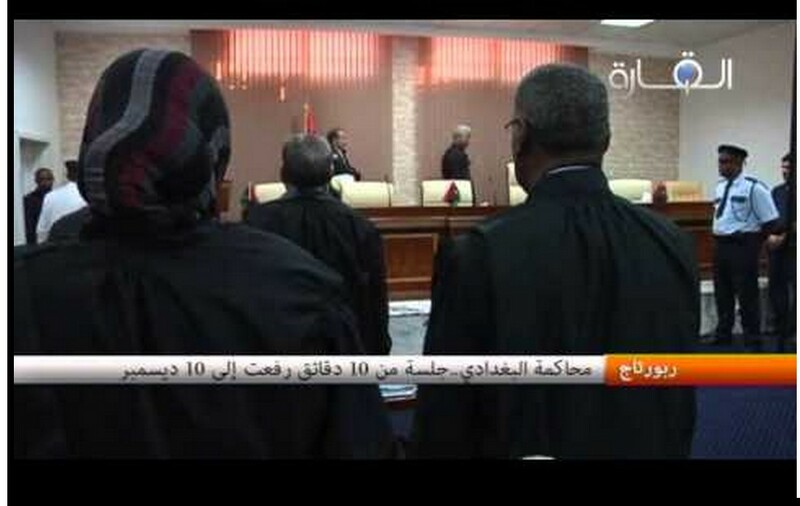 Killed Abdulaziz Ali drowsiness day of Misurata gangs in front Kklh. The killing of Mustafa KULAIB Masrati militia commander Black Canyon and the offender ‘Gharghour first massacre’ (18 NOV. 2013), in the clashes in Kklh yesterday. The entire area has been cleared. Heavy losses in ‘gangs Interface Language’ in Be’er Honey. at a Well Honey and Aqaibdohm heavy losses. _ ALLAH is great! 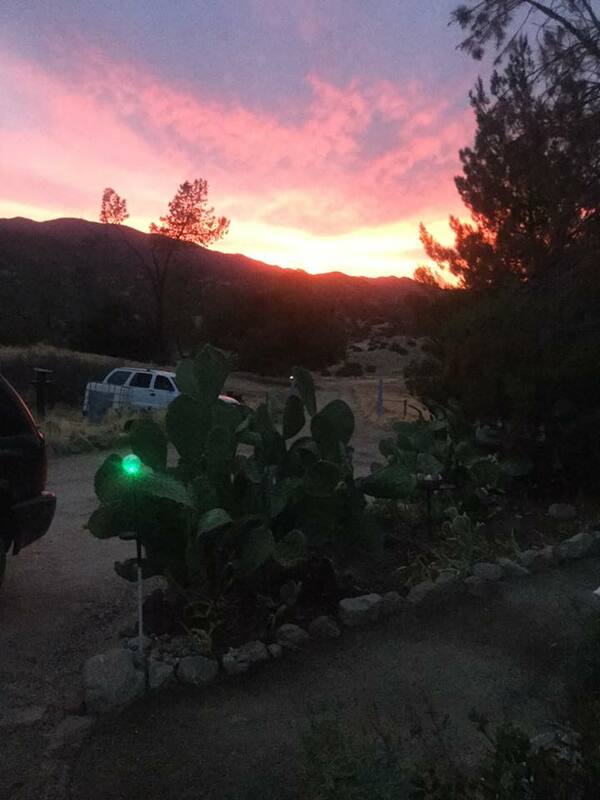 God is great! News about the control of tribal forces on the remaining of the project ..
Bouchiba and sheep tank cars and a total of armed militias affiliated to the Roma Libya. Sheep tank and a group of armed car. 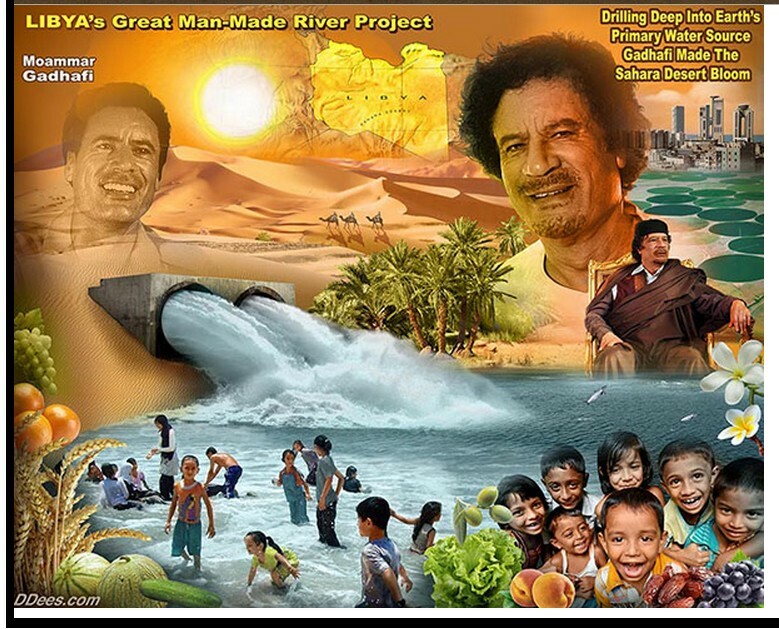 Libya dawn and supporters heinous Krtt and Hsalo irrigation. Full control over the area of ​​Abu Shaybah and head and Allf Valley neighborhood and by Bo Rashadh sheep and 12 armed vehicles and tanks and guns, 105 and 106 families of 30 Mtgsor and the number of dead 60 people dead and 107 wounded ..
Army Martyrs 5 martyrs and 17 wounded, we ask God to accept them as martyrs and heal our wounded. 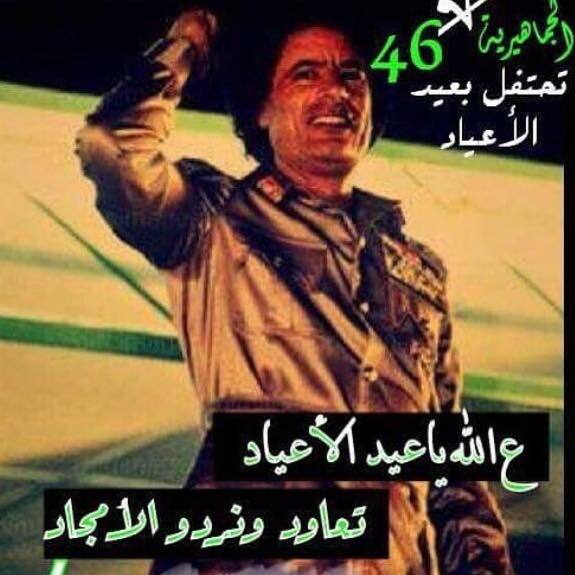 was martyred on 15 OCTOBER 2014.
with the comfortable knowledge that Libya has been liberated from the Brotherhood and that the Great Jamahiriya returns. The mechanism and that mechanism al-Rajaban. Lord have mercy on them and makes the resting place of paradise. 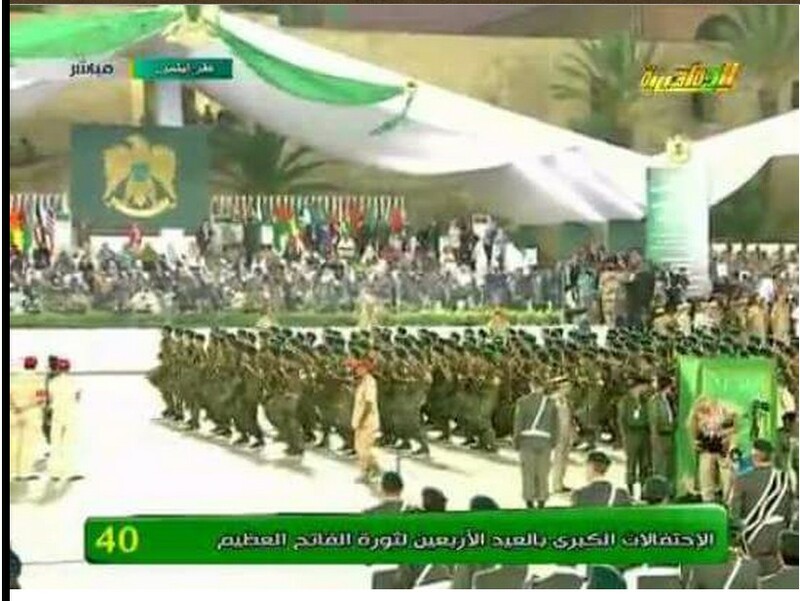 Rishvana Rafla refused to join the (old) LIBYAN ARMY under the GNC, but now, with the anew LIBYA, are faithfully enrolling in the new Libyan Army. le statut de Canal globe on Facebook. Mafloh in Rishvana is the conversion of all young people and Rishvana who did not Adkhalo war and Turcot their homes because they are neutral to the monsters and fighters are evil .. who did not carry a gun once carried by now .. after opinion Hole crimes gangs dawn Libya especially by Janzour and corner.,. Refusal to join the Army National old .. Now enrolled him ..
la photo de operations of the national army. la vidéo de ‎أولاد الشيخ عبدالسلام الاسمر‎. CASABLANCA shortly before the ..
‎أولاد الشيخ عبدالسلام الاسمر‎ a téléchargé une nouvelle vidéo. 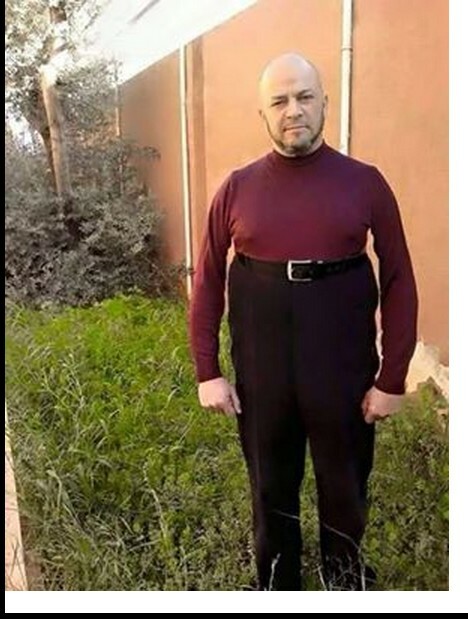 مدينة البيضاء قبل قليل …. la vidéo de ‎أبن الجبل‎ : ‎بيأن أمر قوات أحتياط الجيش الليبي بالجبل الاخضر‎. 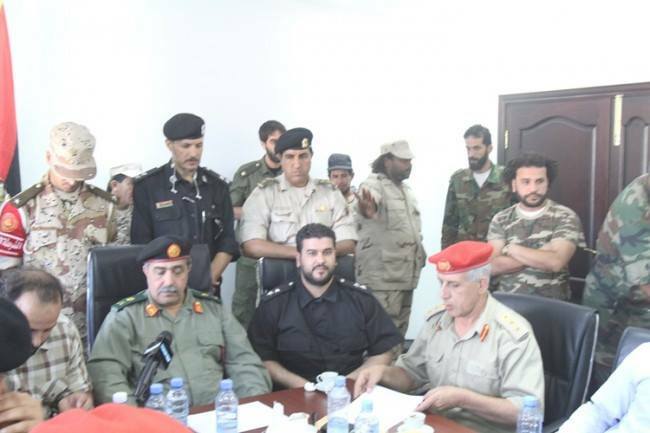 Statement of reserve forces is the Libyan army green mountain city of Cyrene – à city of Shahat. We ask God to protect Benghazi and its people and be their uprising in order to heal the surgery homeland cavernous, and the starting point in the right direction towards building Libya and the return of security, stability and sovereignty and preserve the unity of its territory and picking them up from the quagmire of terrorism and criminality, who wanted the enemies of the homeland and the owners agendas reduced to it .. 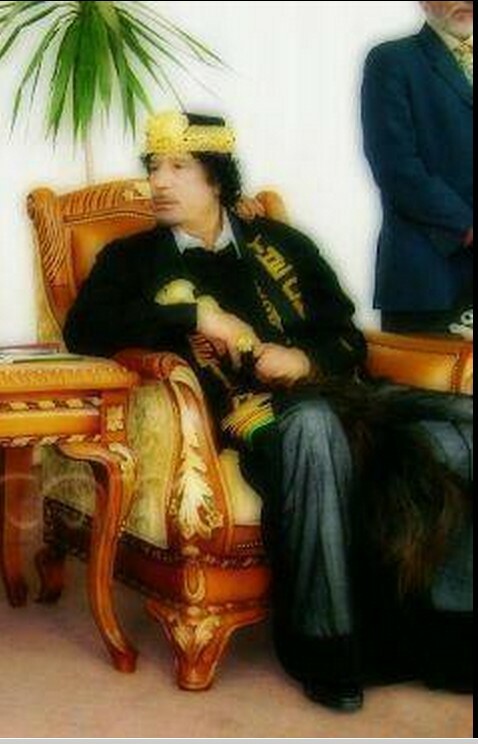 The will of the people could not be defeated and that disappeared a while ..
and the opening of the main roads in front of the Libyan offer al-Ehih. ARMY Battalion 204 tanks and 21 Thunderbolt. 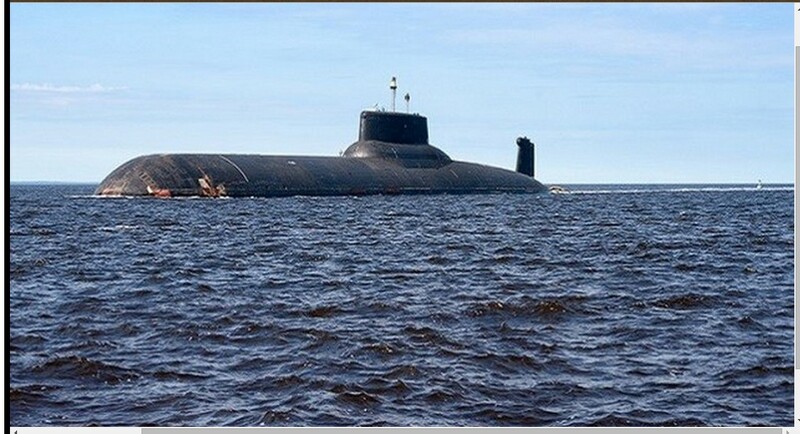 with the advancing forces of the bolt toward Boatni area. And such an army tank Libyan Balfoahat Street and West Street. and your strongholds Kharijites Padbabat. and “extremism camp 17 February”. ‎الزاوية مع الجيش والشرطة وضد مليشيات اخوان مصراتة الارهابية‎ a partagé la vidéo de ‎كتيبة الشهيد صلاح ابوعميد المقاتلة‎. Demanded Battalion 204 tanks to evacuate citizens housing adjacent to the camp of the seventeenth Gahaar as soon as possible. and mechanisms of the Kharijites them Rulrhh camp and 17 February. 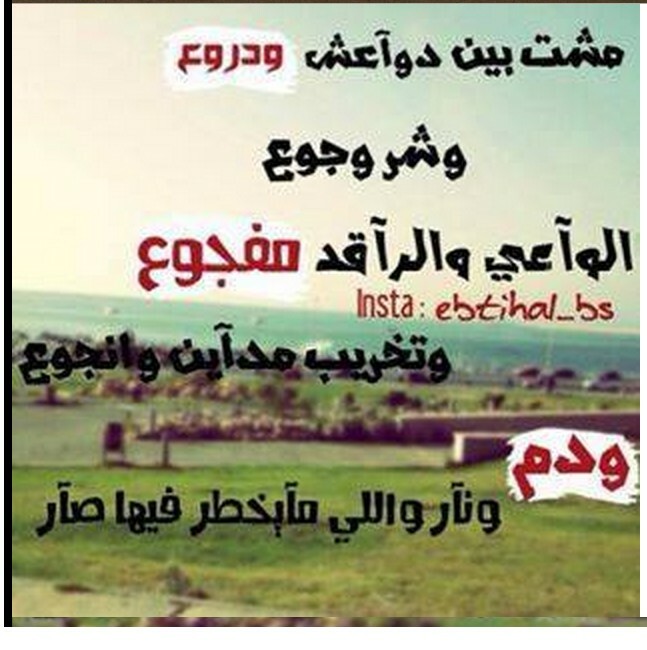 and hear the locusts Anfjaradtha in many areas of Benghazi. while medics said hospital said nine soldiers on at least were killed, and two wounded, and found the bodies of four civilians in a street, a figure likely to rise. 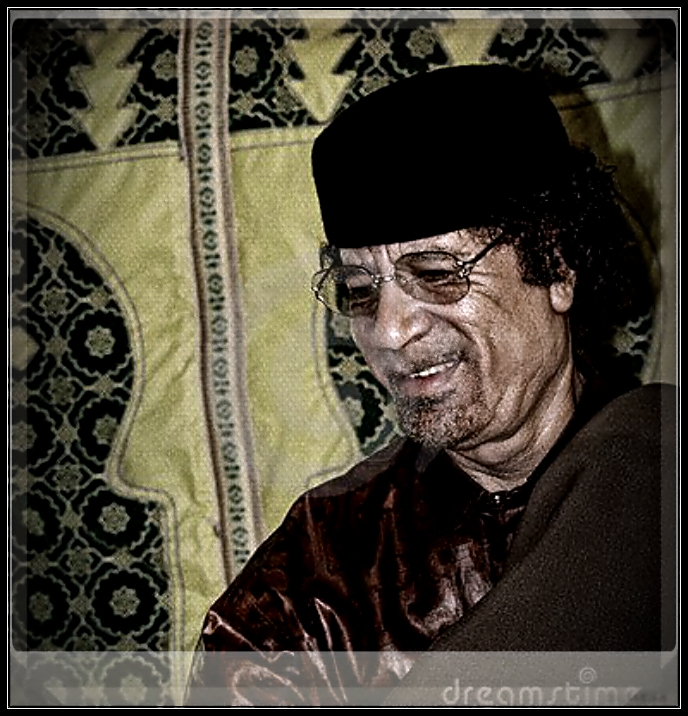 The conflict between the alliance of WAHABI-Islamic groups [who are seeking to make Benghazi, and all Libya, an Islamic ‘Caliphate’]; versus the citizenry with the LIBYAN ARMY, who are uprising against them, [to free Libya of the KHARIJITES and Brotherhood]. Prime Minister Abdullah bending and Mohammed Hijazi, Hftar’s spokesman, said the army seized the “17 February camp’s forces of ‘the Shura Council’,” the group, which includes WAHABI-Islamic militias, and added bending, in televised comments, that the forces of the ‘Shura Council’ are fleeing from military confrontation. 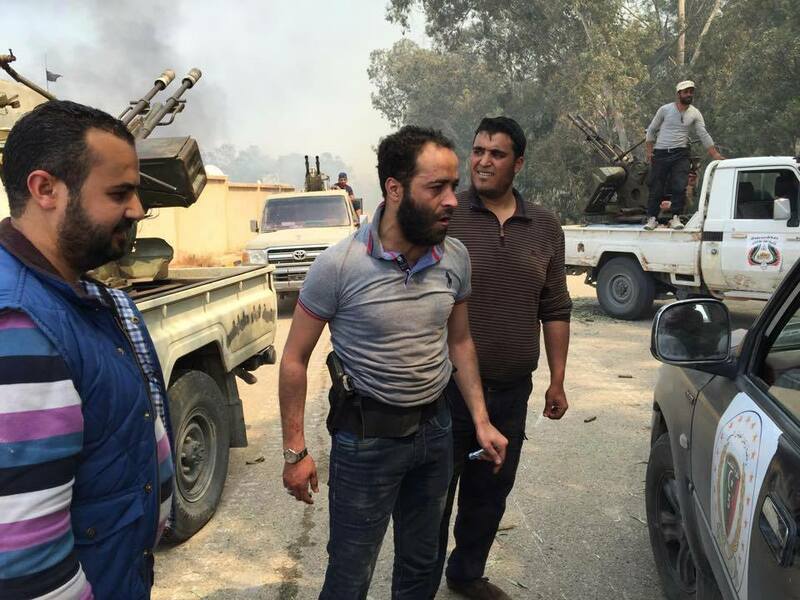 Ahmed cuneiform, spokesman Libyan chief of staff, said the fighting continues because some WAHABI-Islamists did not surrender, despite the control of the army on the whole camp. In addition to the above forces, youths are fighting the armed WAHABI-Islamic militants. 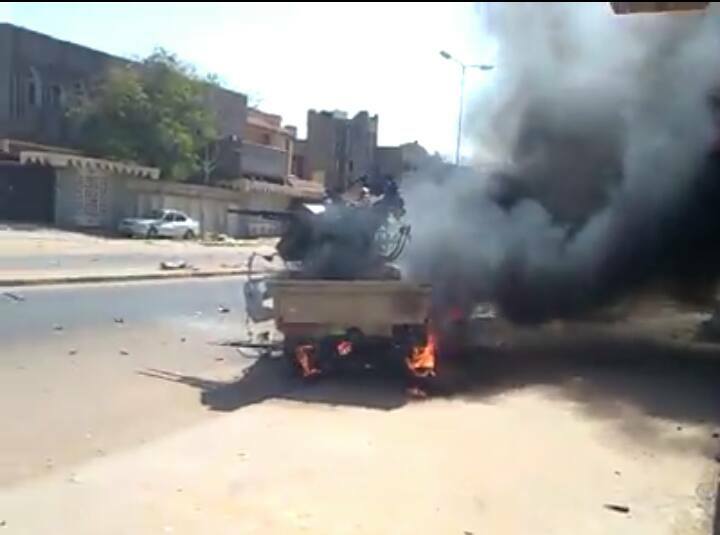 The youths have set up checkpoints around the city, and operate freely in those areas, in response to the appeal launched by activists in Benghazi Wednesday to protest against the Wahabi-Islamic militias, including ‘Ansar al-Sharia’. The local residents on the other hand, stormed a restaurant and shops, accusing the owners of financing Ansar al-Sharia. Clashes with heavy weapons, between the national army and elements in the area Tnzim_al-Hadh # # Garyounes. 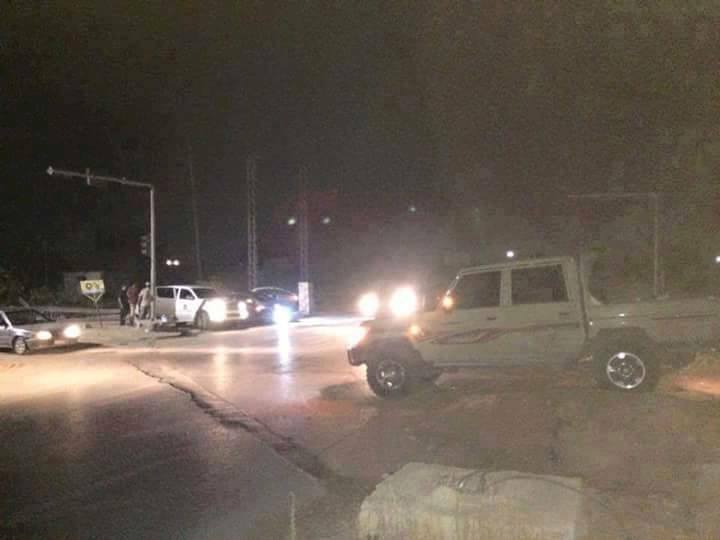 Violent clashes are now very close to the camp from April Al-Saya front Garyounis University and a powerful explosion shake the region. Kidnapped director of the Rural Bank of Btajurae 4 days of coffee Computer Using Shat his fate is still unknown. Boatni mine planting area by the forces of the ‘Muslim’ Brotherhood ‘Shura Council’. The assassination of Ali al-Qaradawi. 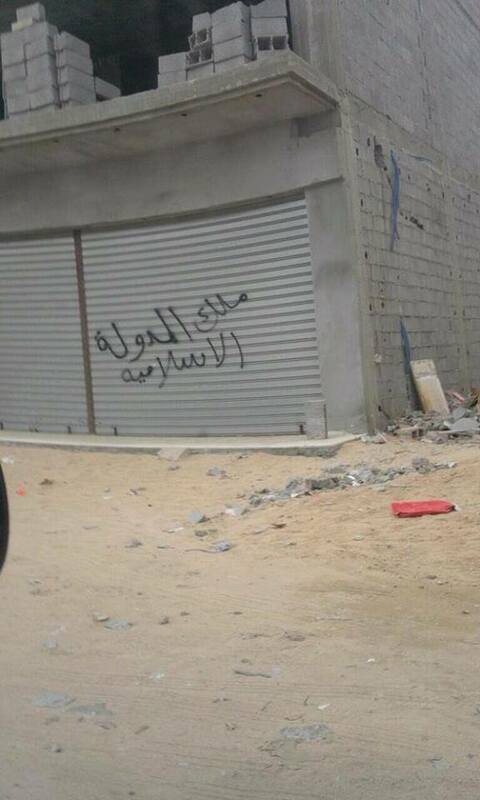 One youth volunteers to secure the al-Salam neighborhood in the city of Benghazi. Army troops were combing the scene and remove the barriers fell after armed groups from him. 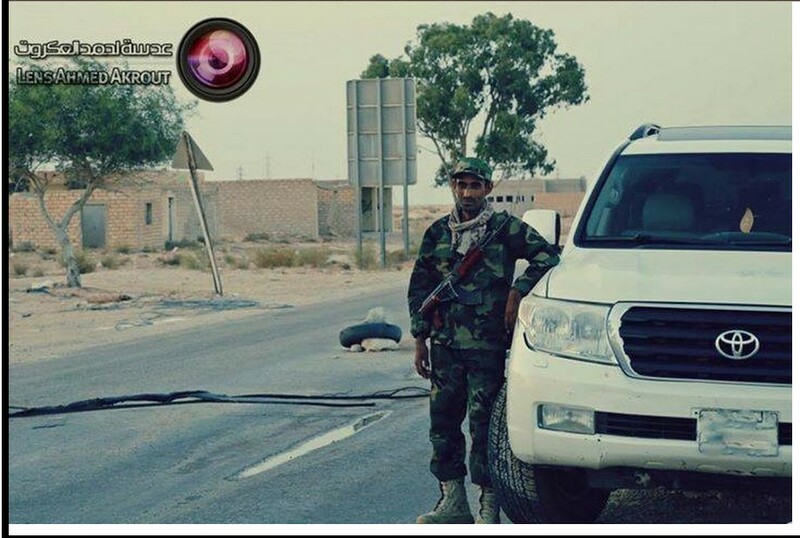 For the first time in # Benghazi, a long time ago special forces military police for help and Traffic Bmuftriq # Buhedama. The killing of the so-called leader of Ansar al-Sharia militias, Mustafa Abdul Salam, after the Swedish surround and attack by the youth Buhedima .. Killing Danielle samidl with several shots fired Tuesday morning (14 OCT. 2014) at the crossroads of the electricity company 7 October hospital in Benghazi, and was one of the members of the BROTHERHOOD Ansar-militia known as the infantry first Brigade. 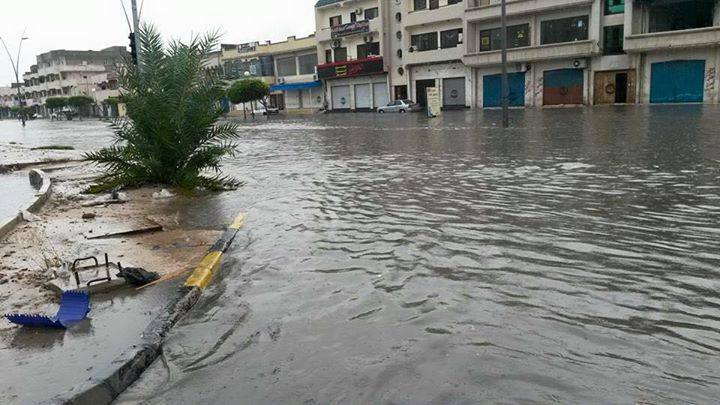 la photo de Canal Libya’s international space. Libya International Tv Channel. Assassination “Faraj Peugeot” where the unidentified Bermaah him and shot him dead. in front of the Crown Prince Palace in Benghazi. late 1950’s picture of the Crown Prince Palace in Benghazi. there is a Bay front power..
من داخل منطقة الجليدة مدرسة اخضراوي فلجات ..
بيها اسلحة مطوره وموقع رسمي وتوجد بيه قوة ليهم ..
Was destroyed in an armed convoy # al-Korashh shortly before ..
Hey Hey bowed two al-Tcfhirien was die bury me in Biar “..
Video for 7 seconds, showing the late Salah of Tris Tajura, which he says “Hey Hey bowed two al-Tcfhirien was die bury me in Biar” ..
الزاوية مع الجيش والشرطة وضد مليشيات اخوان مصراتة الارهابية‎ a partagé la vidéo de ‎عاجل بنغازي‎. 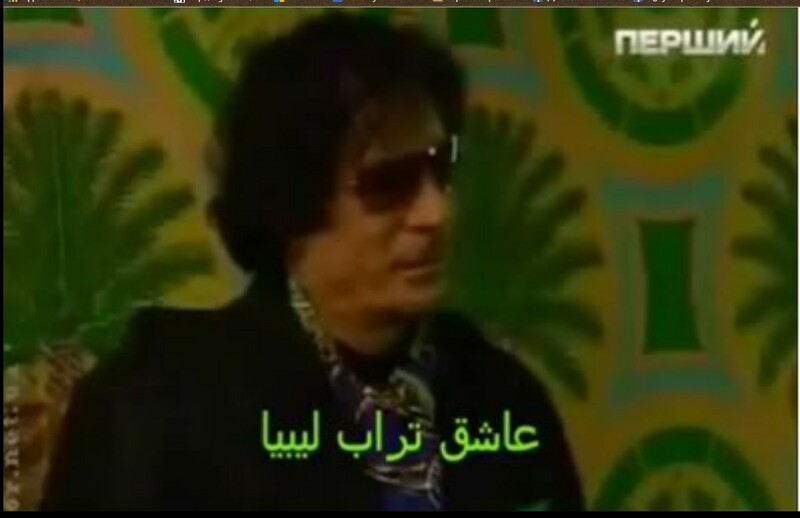 يا إحني يا همّا التكفيريين وكان متت إدفنوني في الابيار ” ..
فيديو لـ 7 ثواني , يظهر فيه المرحوم صلاح من تريس تاجوراء , يقول فيه ” يا إحني يا همّا التكفيريين وكان متت إدفنوني في الابيار ” .. 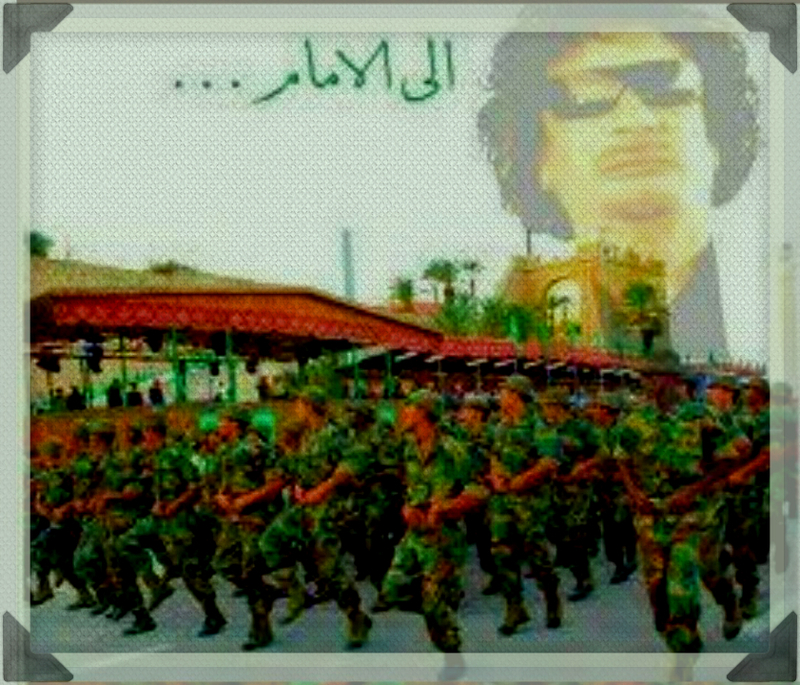 When marching in informing them of the corrupt Bamsmyat tribes such as the Army and Army Hftar and Owoo etc. Goodenough denominations and prostitutes and Altkfferin in the dustbin of history. 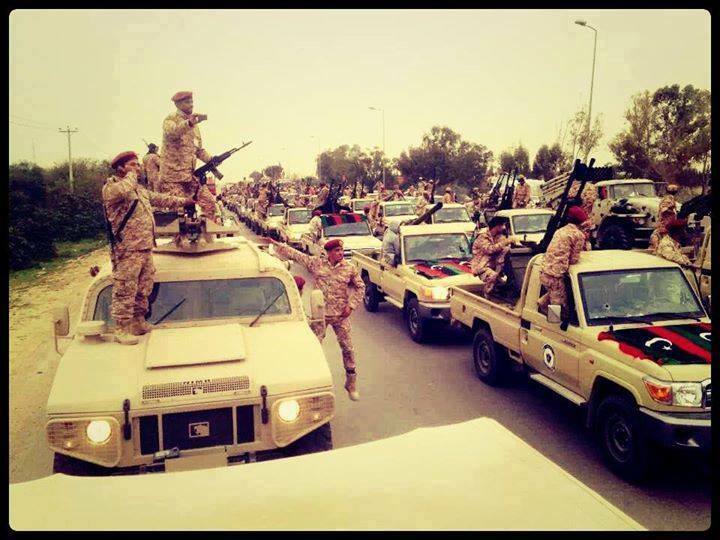 Because of the new battalions and units of the Libyan army intervention to Benghazi. govern control of their region with all entrances and exits completely. Ansar al Sharia Libya, the jihadist group notorious, has released a 42-minute video highlighting its recent operations. The video, titled “Enter Upon Them By The Gate,” focuses on Ansar al Sharia’s opposition to General Khalifa Haftar’s forces. Haftar is a Libyan general who has opposed the jihadists’ advances in Libya. And the production also features WiSam bin-Hamaid, a jihadist leader US officials once considered an ally in post-GREAT JAMAHIRIYA Libya. 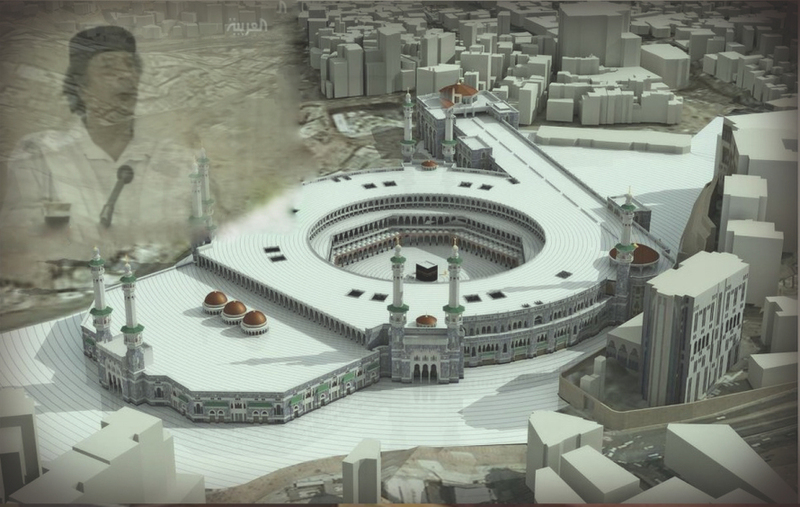 Bin Hamaid is shown twice in the video. A photo of Bin Hamaid is first displayed during Ansar al Sharia’s discussion of the Benghazi Revolutionaries Shura Council [BRSC], which is a coalition of several Islamist and jihadist factions currently fighting against Haftar and his allies. Ansar al Sharia is likely the dominant organization in the BRSC. Bin Hamaid is shown sitting in front of the black flag first popularized by the Islamic State of Iraq [ISI], an al Qaeda branch that evolved into Abu Bakr al Baghdadi’s Islamic State, which has been disowned by al Qaeda’s general command. The ISI’s flag was adopted by other jihadist groups long ago, including some that are openly loyal to al Qaeda. In its media productions, Ansar al Sharia typically uses an even simpler black banner similar to that flown by al Qaeda and its branches. See, for example, the upper right hand corner of the image of Bin Hamaid below. Bin Hamid is one of the key leaders in this coalition, according to Ansar al Sharia. Indeed, the group has previously published photos of Bin Hamaid fighting alongside other jihadists, including Ansar al Sharia‘s emir, Mohammed al Zahawi. After ‘halting’ Hftar’s offensive, Ansar al Sharia’s narrator says in the new video, the “leadership of the BRSC met and drew up precise plans for a military operation aiming to liberate the city of Benghazi” from Hftar’s forces. Zahawi, Ansar al Sharia’s leader, echoes Bin Hamaid’s argument moments later. 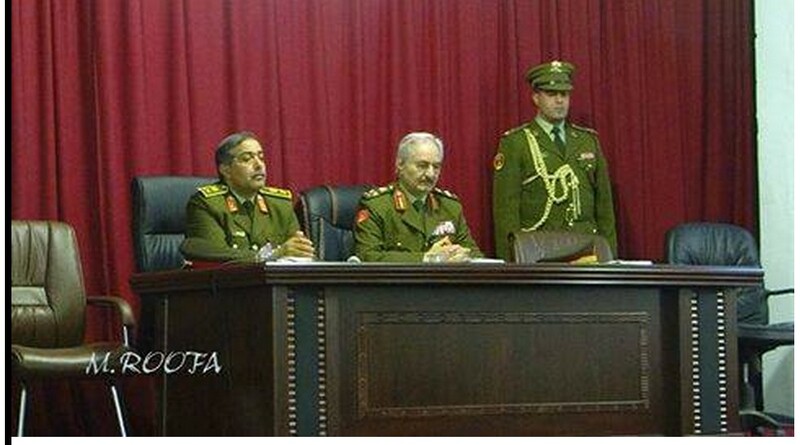 As can be seen in the image below, Zahawi is standing to Bin Hamaid’s left as he speaks at Camp Thunderbolt. 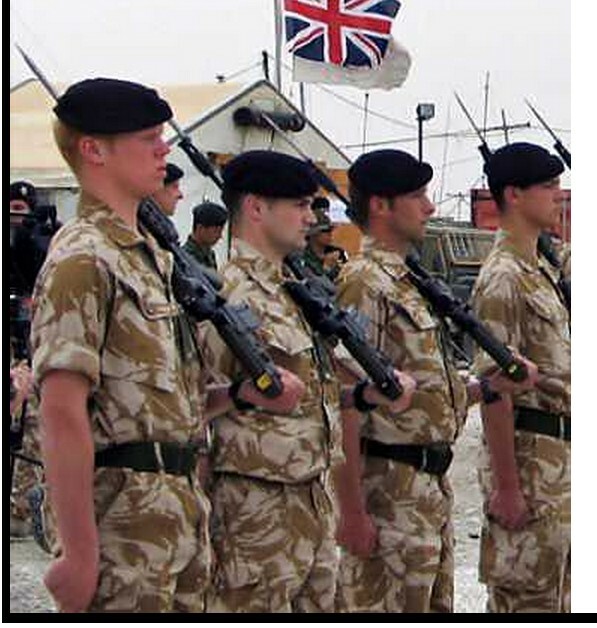 In “the name of the fighters of the BRSC, and in the name of all free young men in Benghazi: we will fight and struggle until the law of Allah [FALSE-sharia] is ruled in this land,” Zahawi says. The close alliance between Zahawi and Bin Hamaid, who are both fighting to implement a harsh, corrupt-version of ‘sharia law’, underscores the degree to which American officials have uniquely used their allies in Libya. While Bin Hamaid claims to have stood idly by as the US compound was ransacked and four Americans were killed, Zahawi’s fighters joined known al-Qaeda branches in overrunning the US Mission and Annex. Today, Bin Hamaid and Zahawi advertise their alliance [This is absolutely nothing ‘new’; and the Yanks have no reason to act ‘shocked’ ! 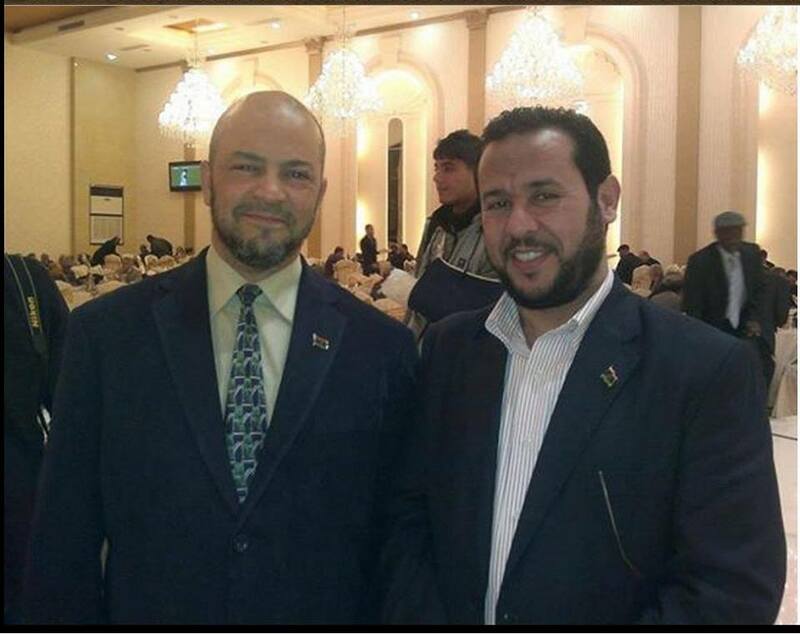 With them, it is all a game…] in Ansar al Sharia‘s videos. IS ERDOGEN trying to save his ‘Muslim’ Brotherhood ? ماكين يعترف بالعمل مع، والمساعدة في خلق داش/إيزيس. في الواقع، هو الإسرائيلي المسرحية-الفاعل إليوت Simon، “أبو بكر” البغدادي. A shell landed on a house in the area Mansheya B.Sabha caused injury to a child. la vidéo de ‎ساعة الصفر‎. How we were and how we are now ..
‎ساعة الصفر‎ a téléchargé une nouvelle vidéo. 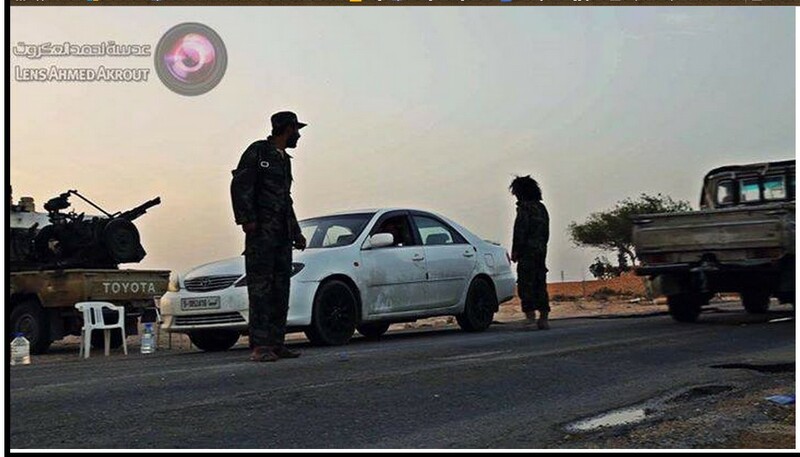 Corner with the army and police against terrorist militias Brothers Misrata a partagé la vidéo de Panorama today. الزاوية مع الجيش والشرطة وضد مليشيات اخوان مصراتة الارهابية‎ a partagé la vidéo de ‎بانوراما اليوم‎.